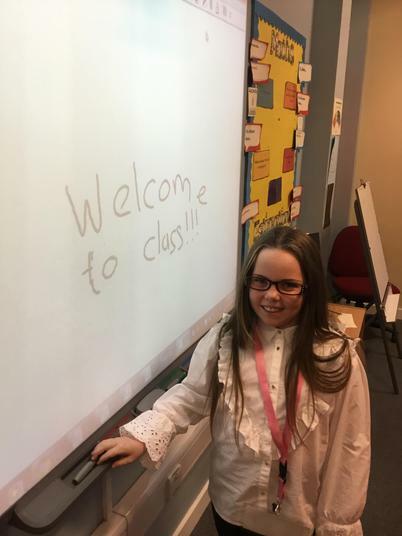 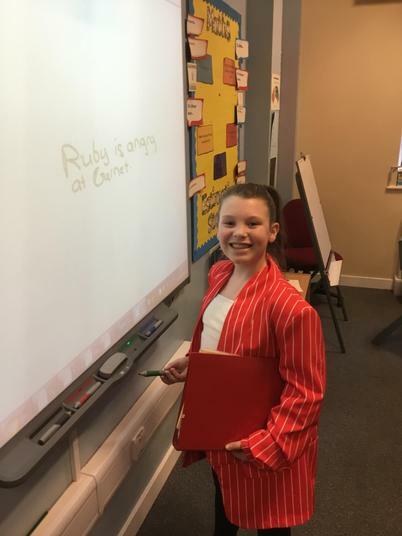 Miss Jones and her wonderful class welcome you to 5J's class page! 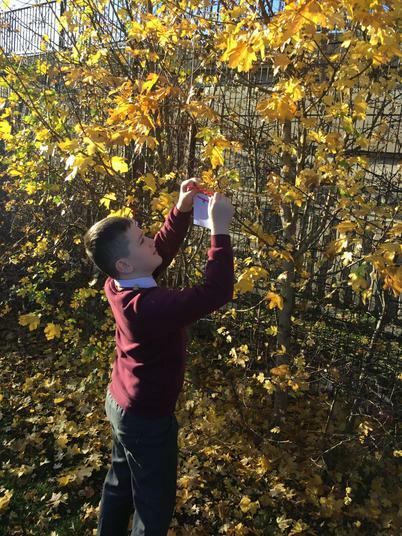 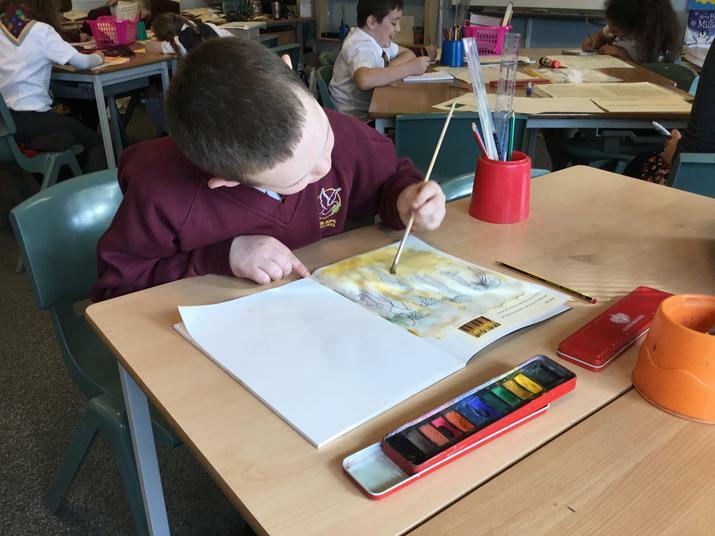 Here you will find: information, photos and videos of some of the exciting things we get up to in our class. 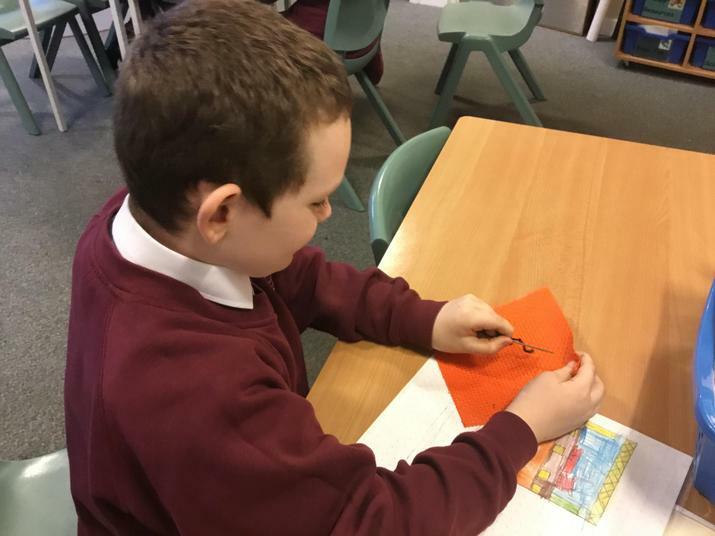 We look forward to sharing with you all of the interesting things we get up to this year! 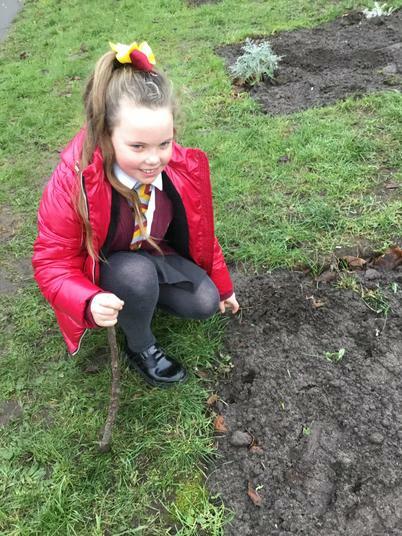 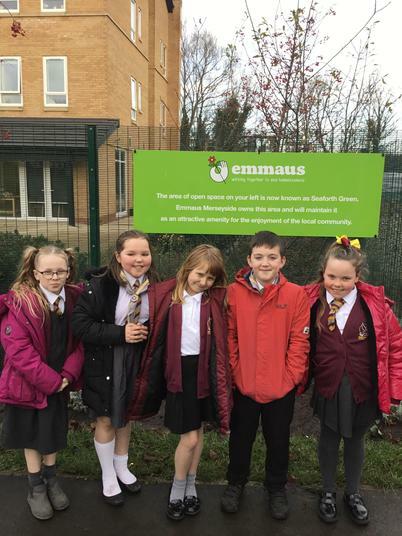 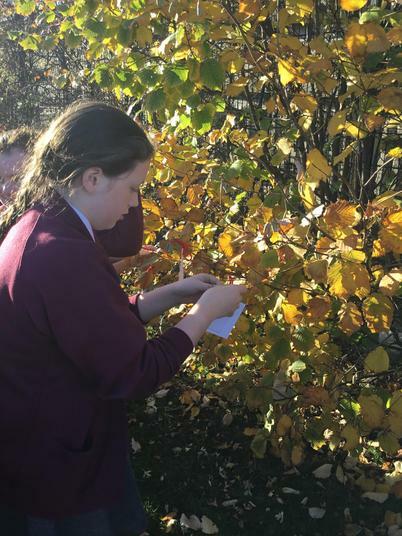 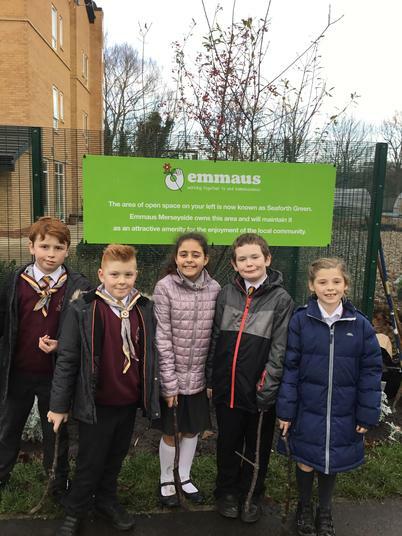 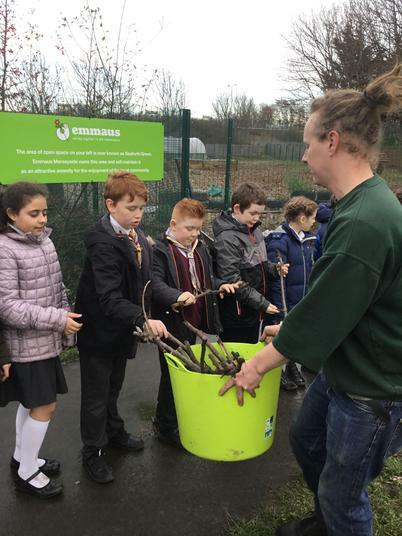 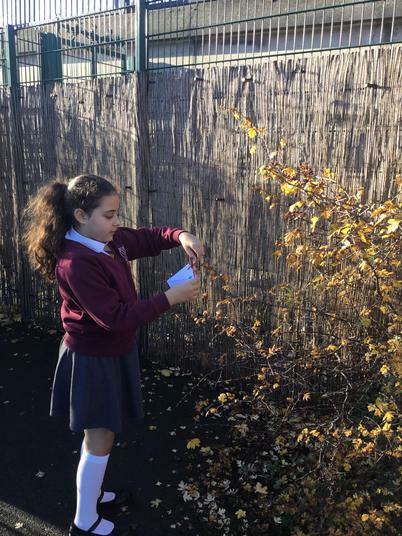 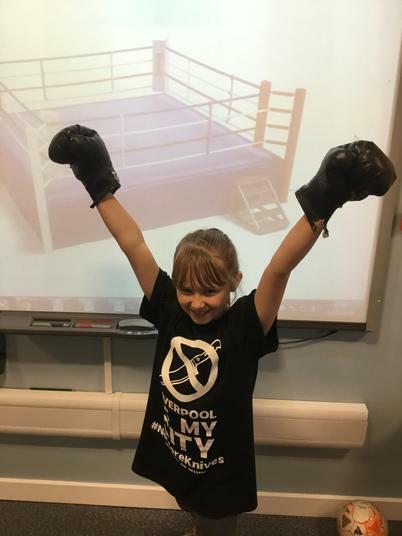 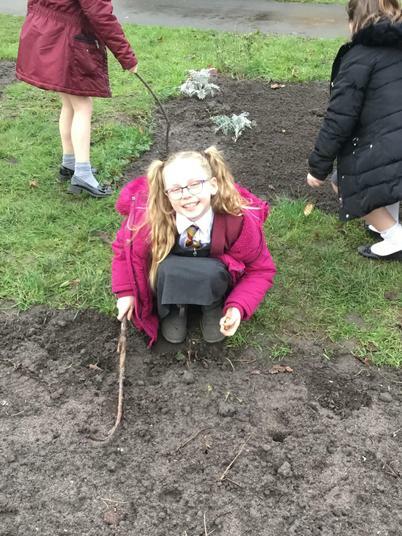 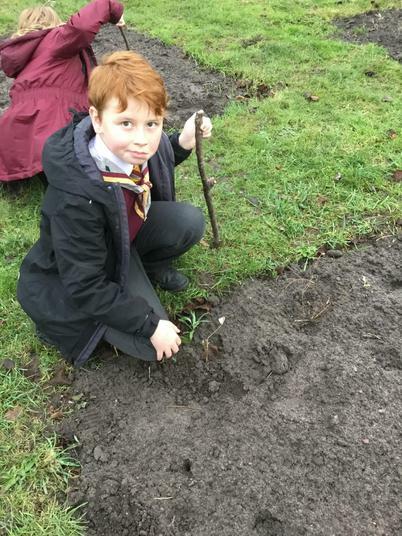 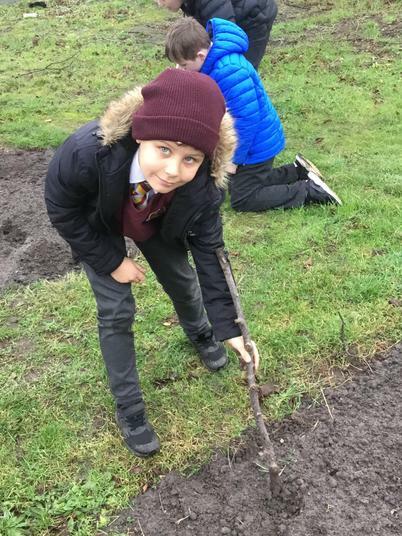 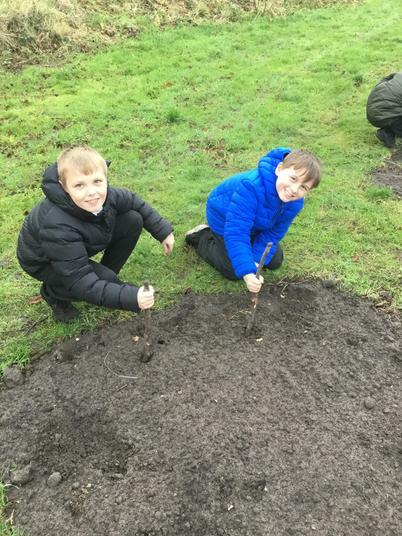 Lots of our children take part in lots of exciting activities outside school. 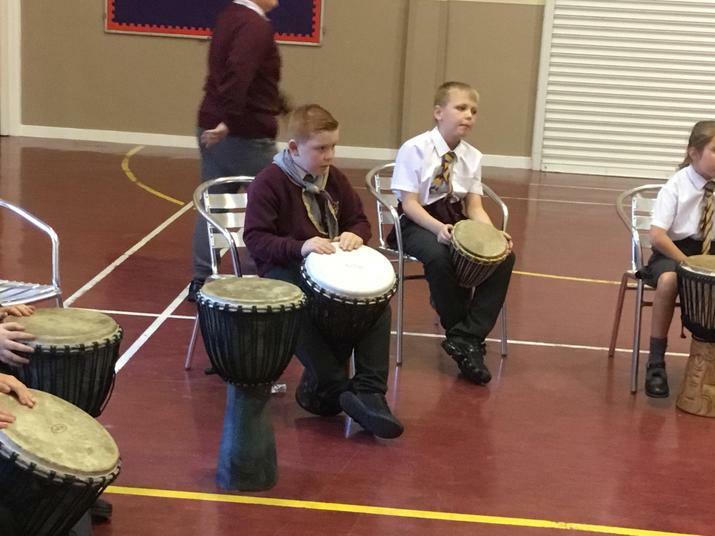 Here we will keep you updated on all of their fantastic achievements, from dance to football. 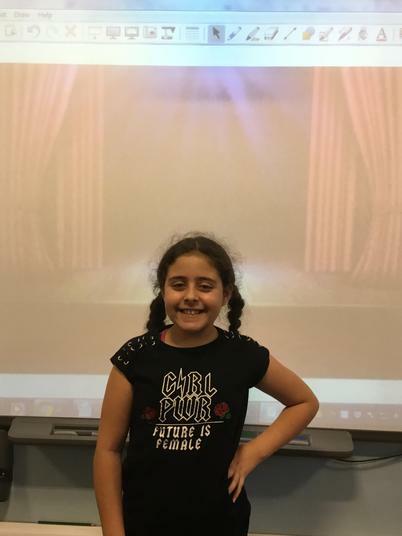 This superstar competed in a dance competition and brought in her medal and trophy to show the school. 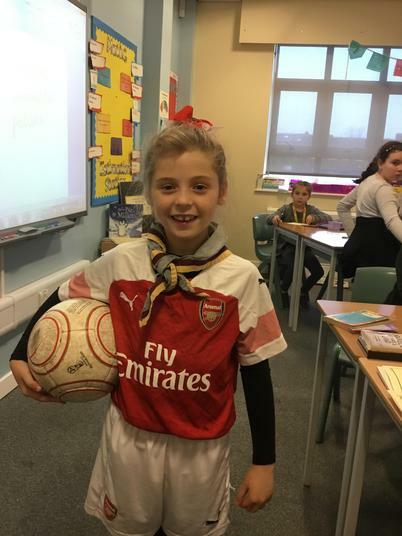 This superstar was player of the match, when playing for her team! 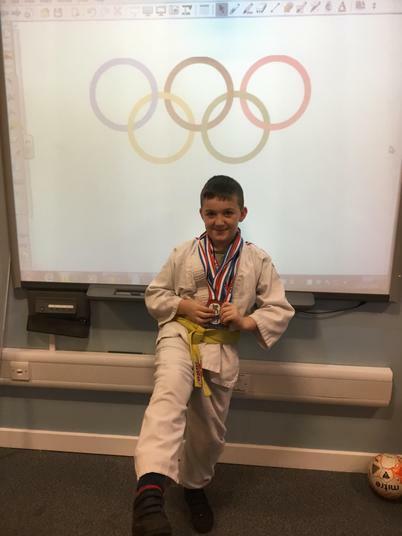 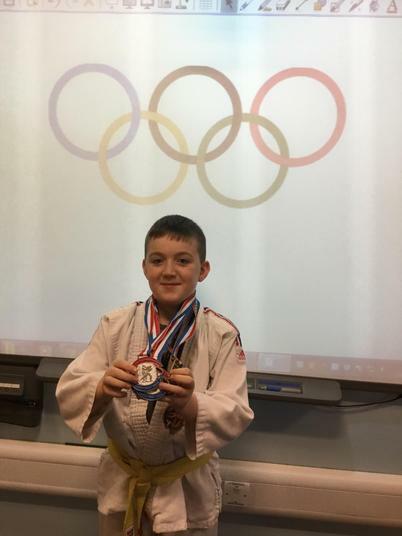 This superstar brought in all of his medals to show the class. 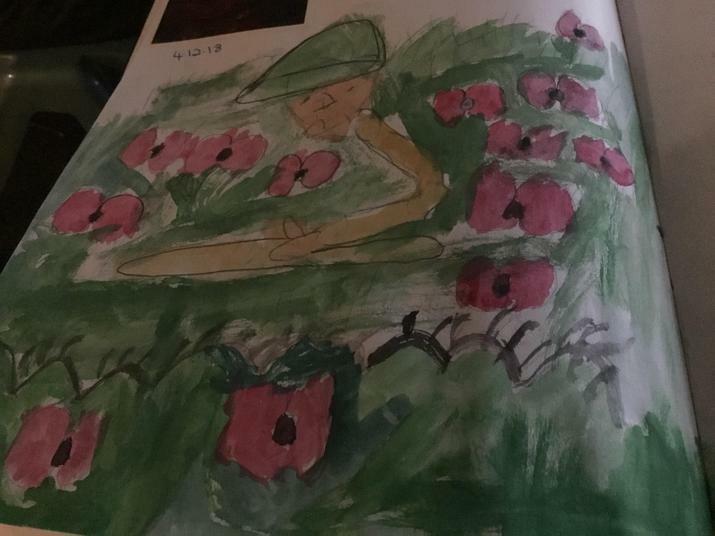 2018 marks a hundred years since the end of the First World War. 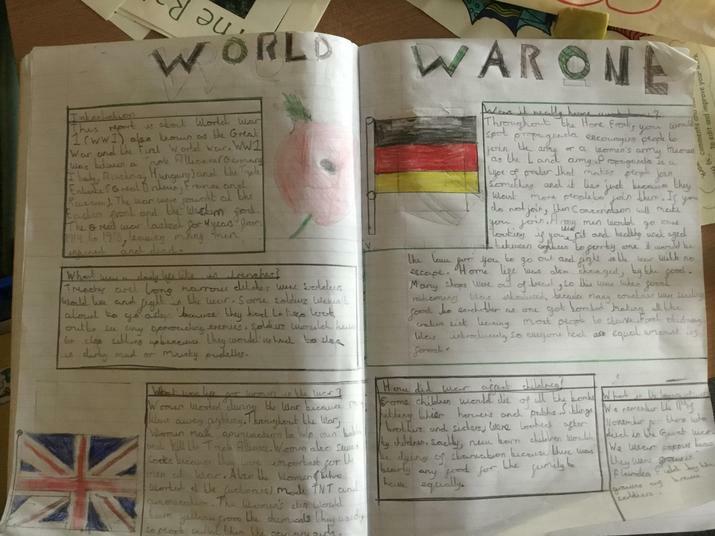 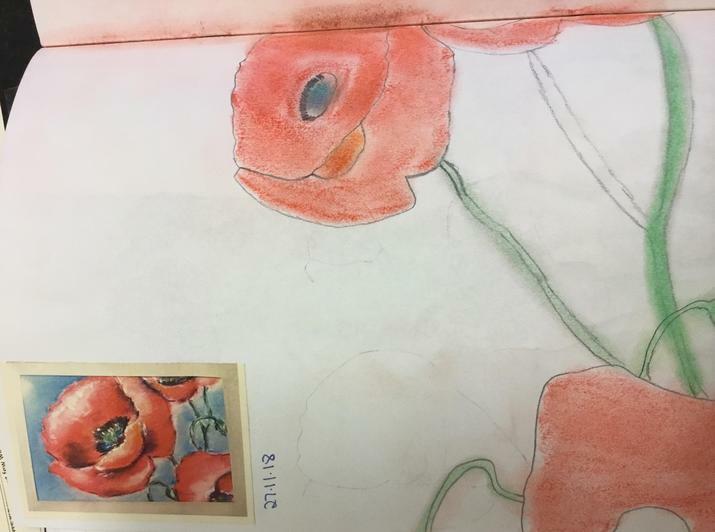 In class, we learnt all about World War One. 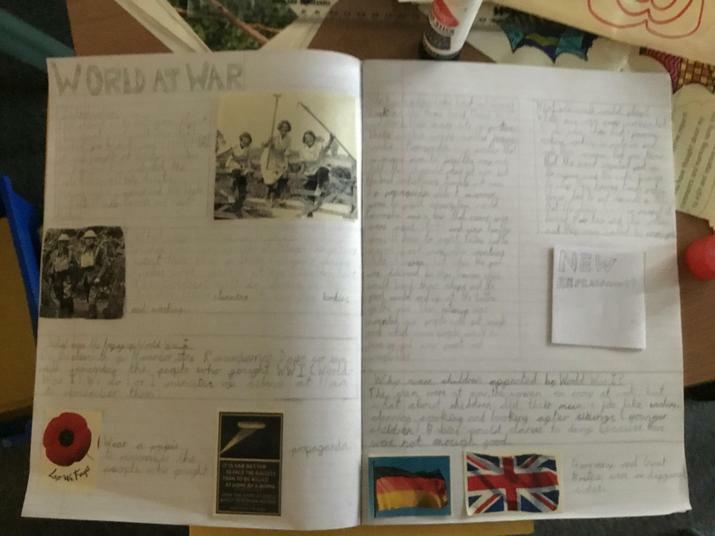 We learnt about: the Home Front, the Western Front and the life of the soldiers. 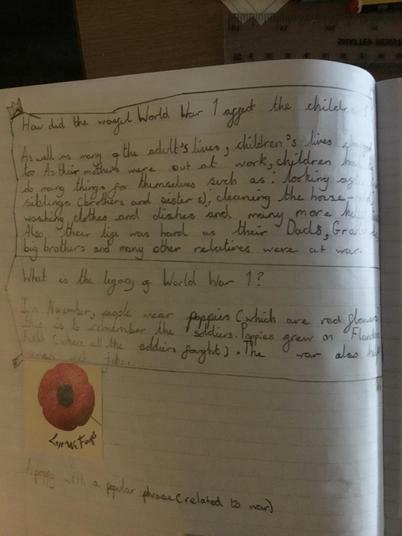 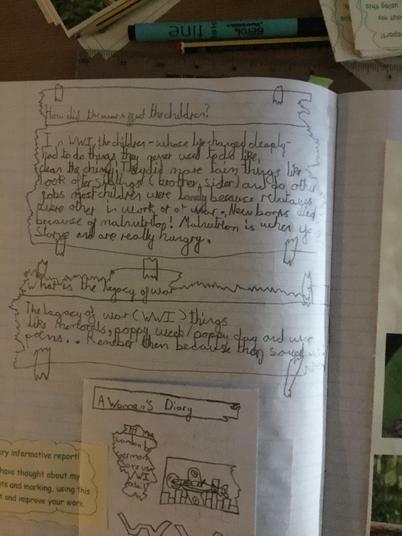 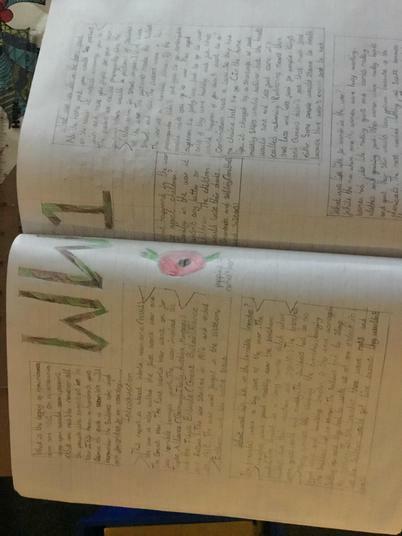 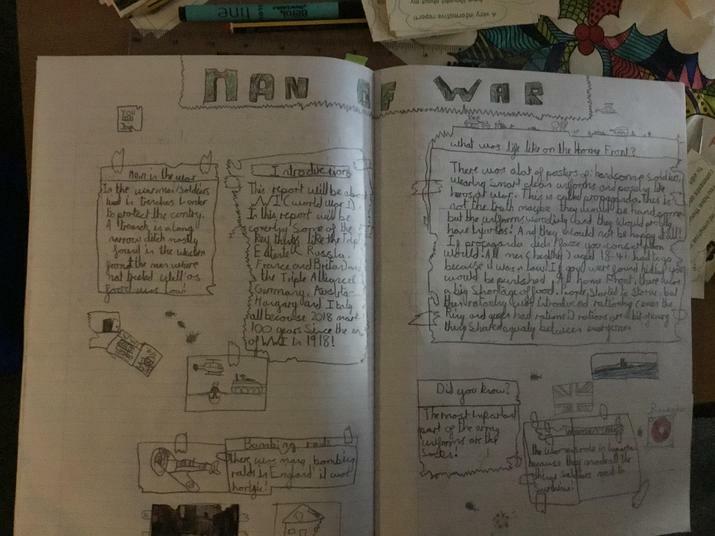 Then we produced our own non-chronological reports all about the War, which you can see some examples of below. 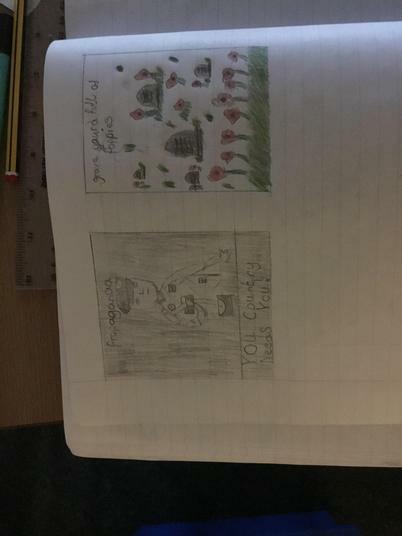 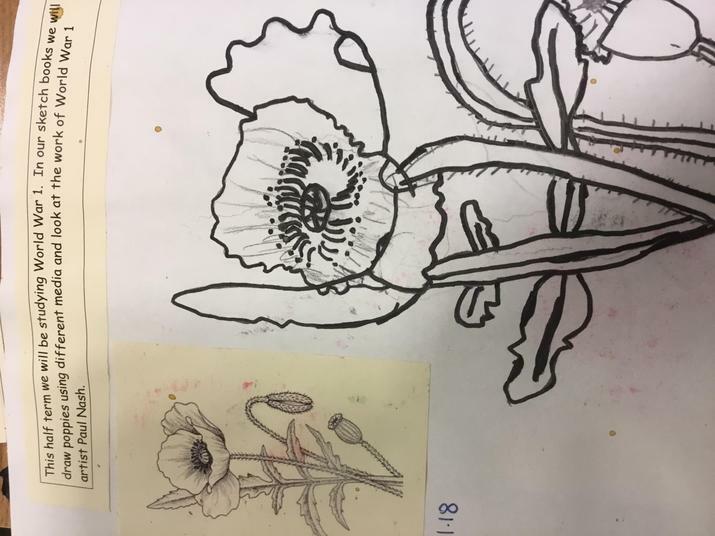 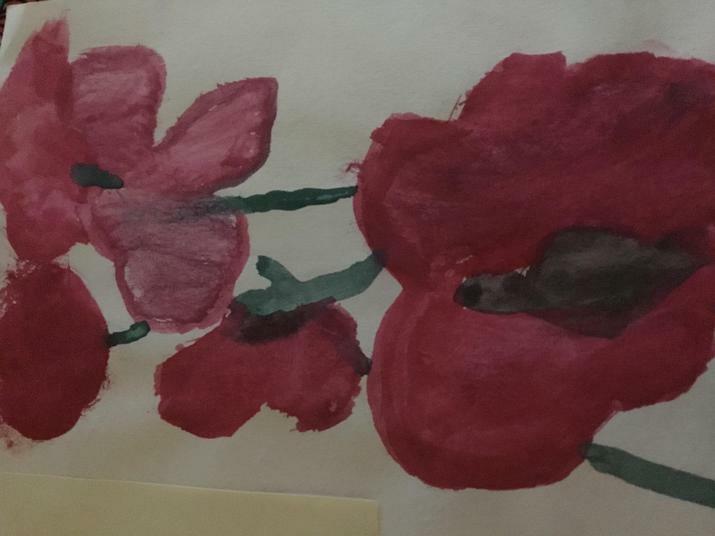 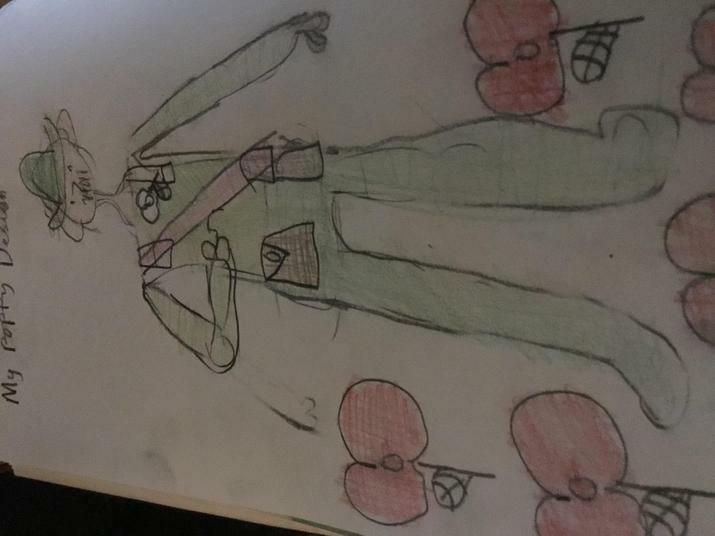 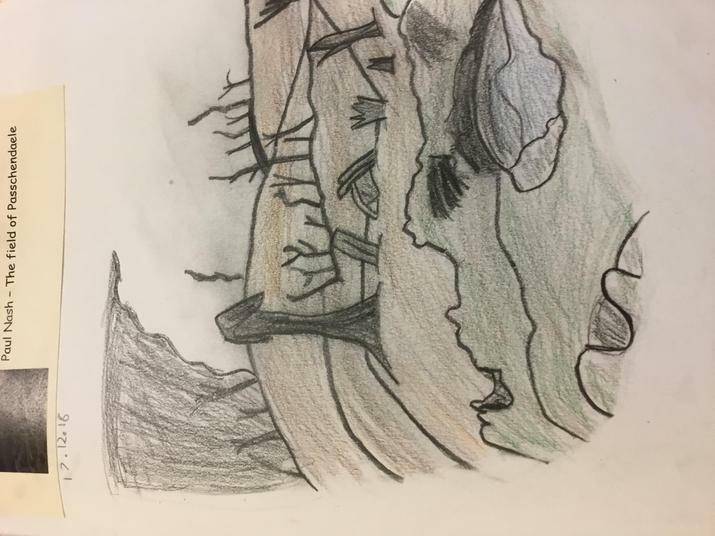 We also created our own artwork, which examples of can also be viewed below. 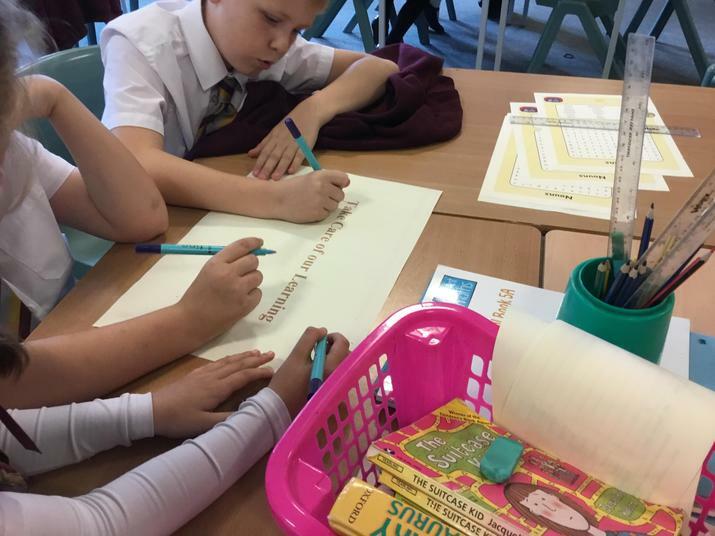 During DT week, we thought about the importance of looking after our mental health. 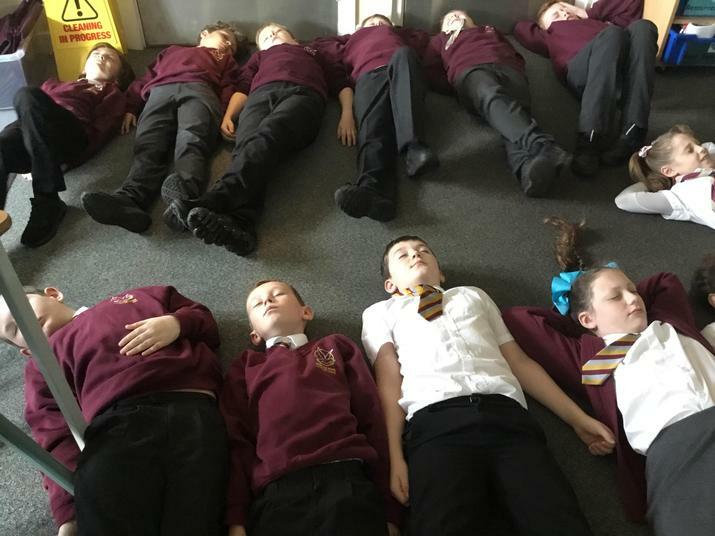 We practised relaxation techniques, including mindful breathing, yoga and focusing on our still, quiet place. 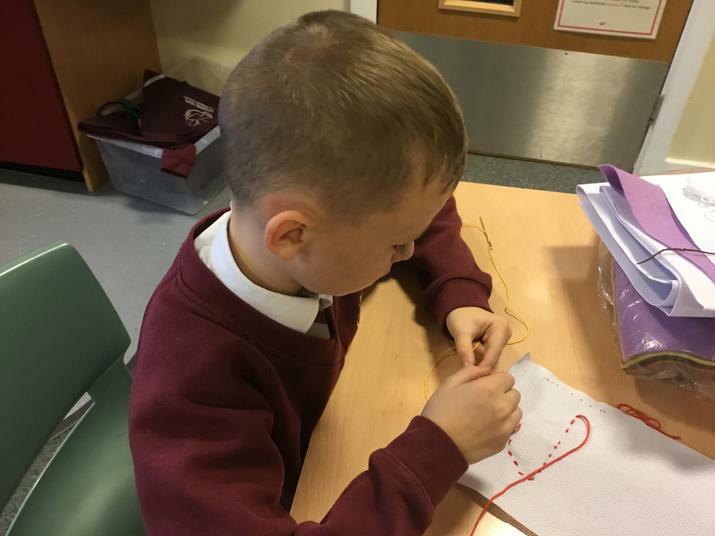 The children were challenged to design and make bunting to hang in our classroom to remind us to be mindful. 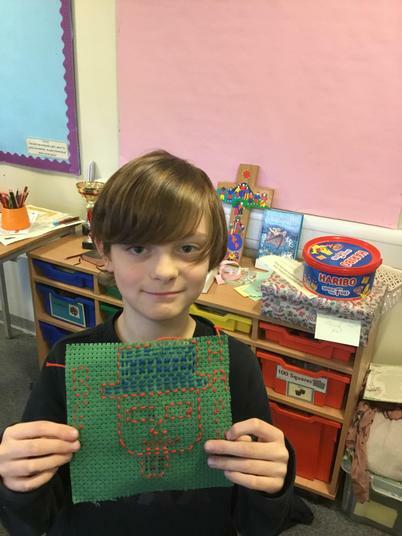 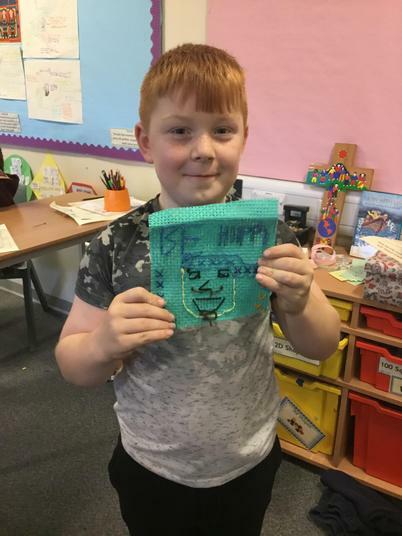 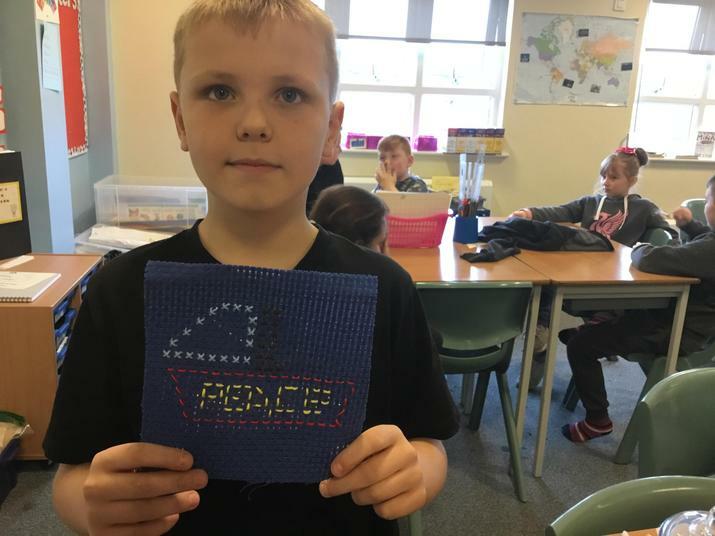 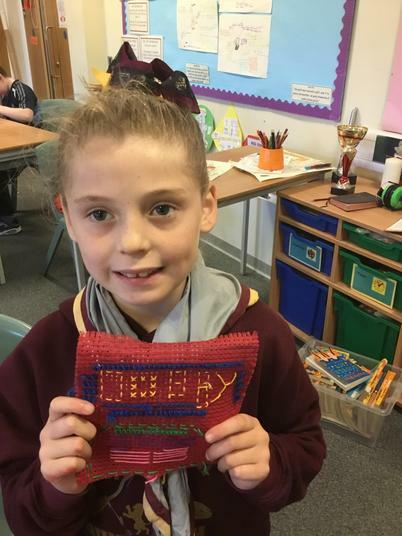 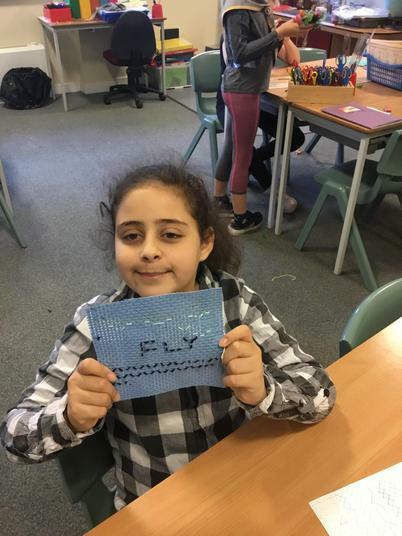 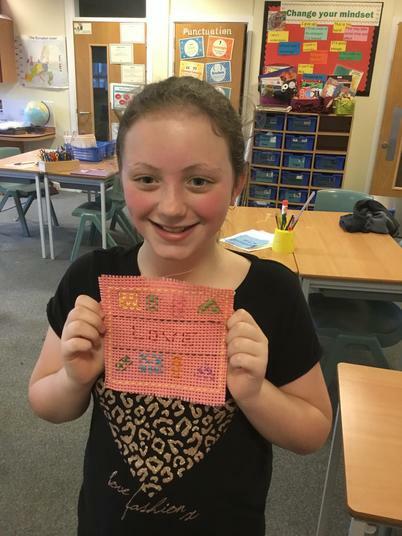 They worked hard to produce beautiful cross stitch images. 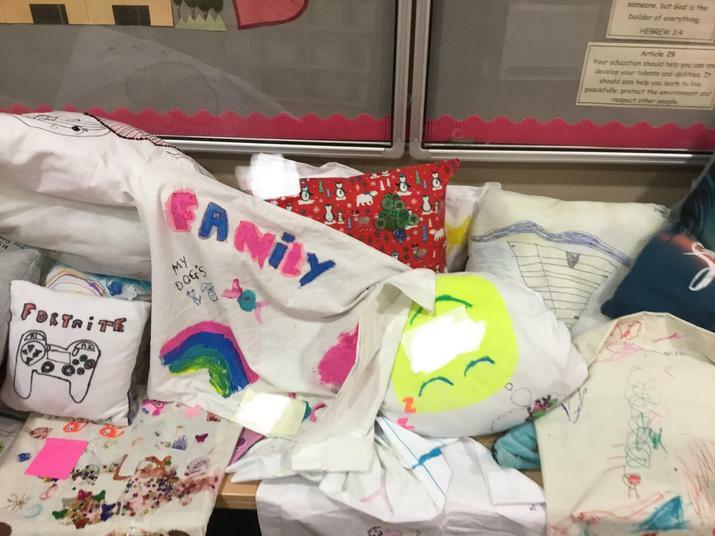 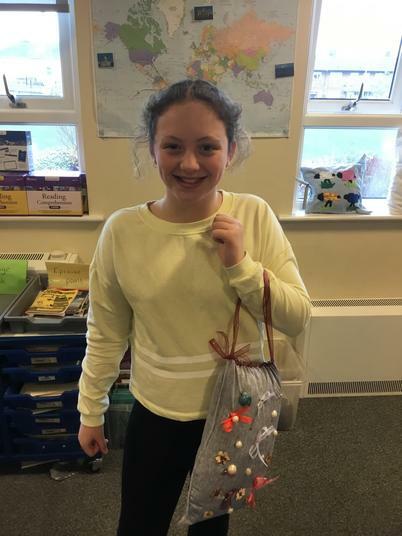 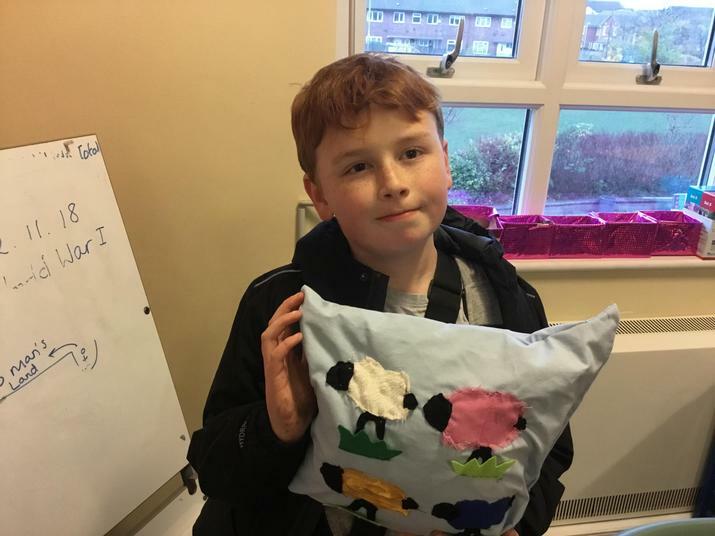 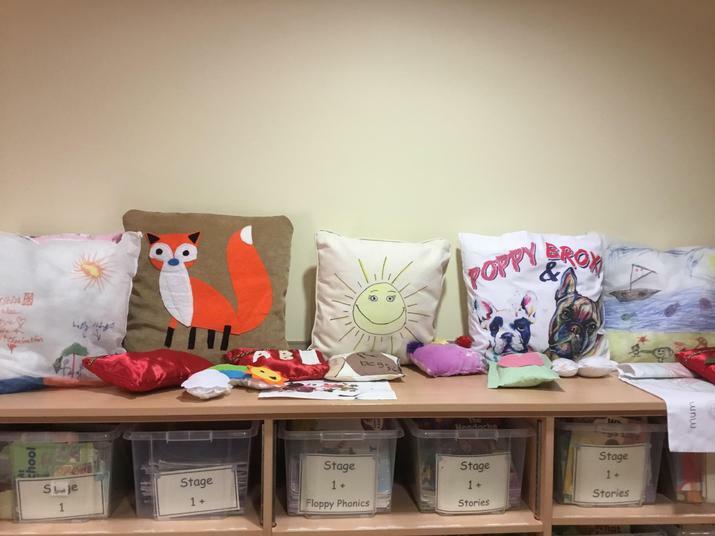 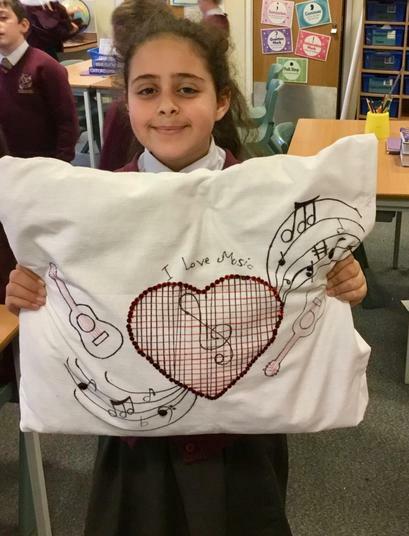 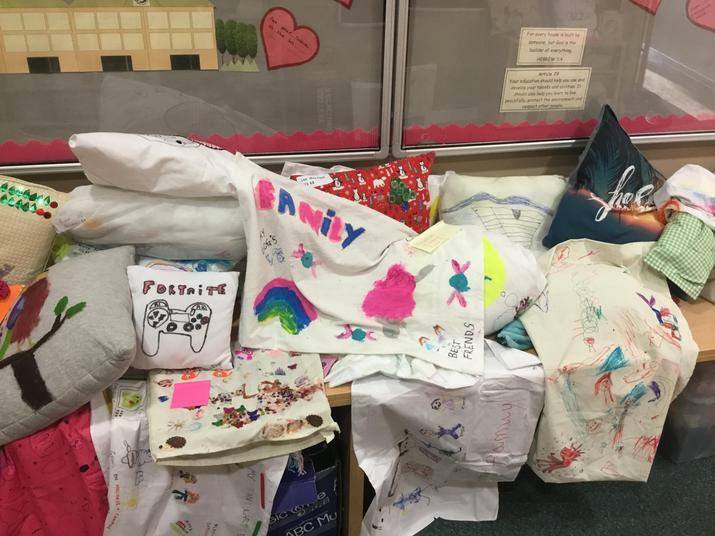 Some of the children took part in the family home challenge and made fantastic cushions. 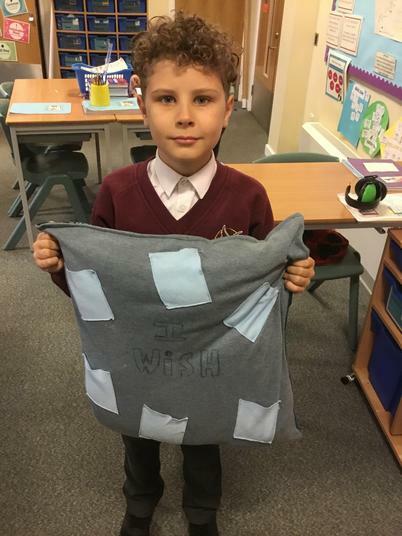 The children shared what they would like to be when they grow up. 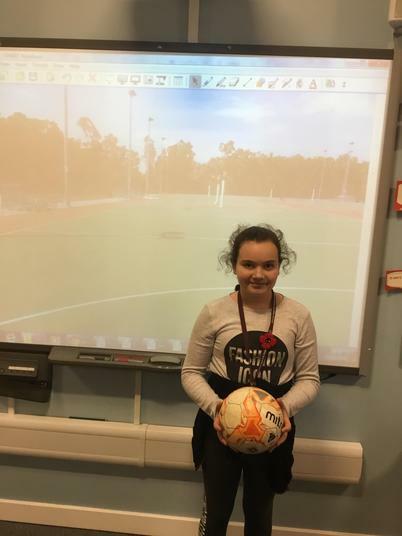 We had a classroom full of future: teachers,police officers, artists,sportsmen and sportswomen. 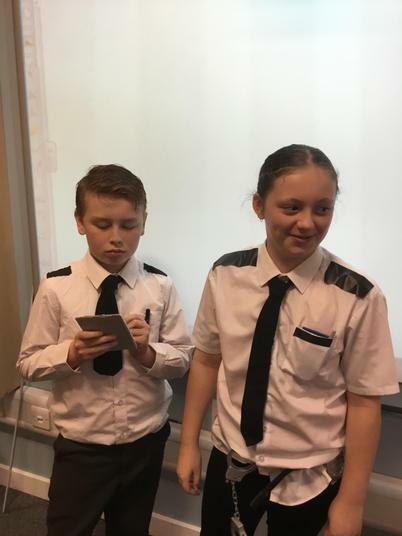 The children also had a vist from the Police who told the children about their job. 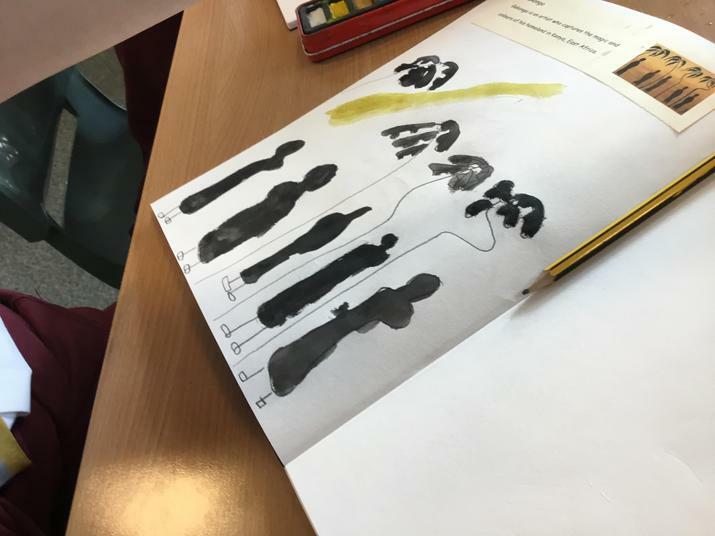 The Police also answered the children’s questions. 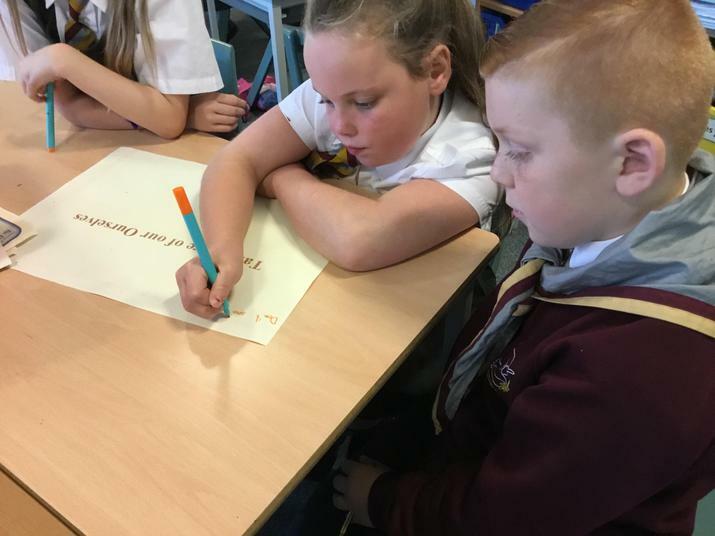 Miss Jones and Miss Sullivan also shared how they became teachers and answered the children’s questions about university. 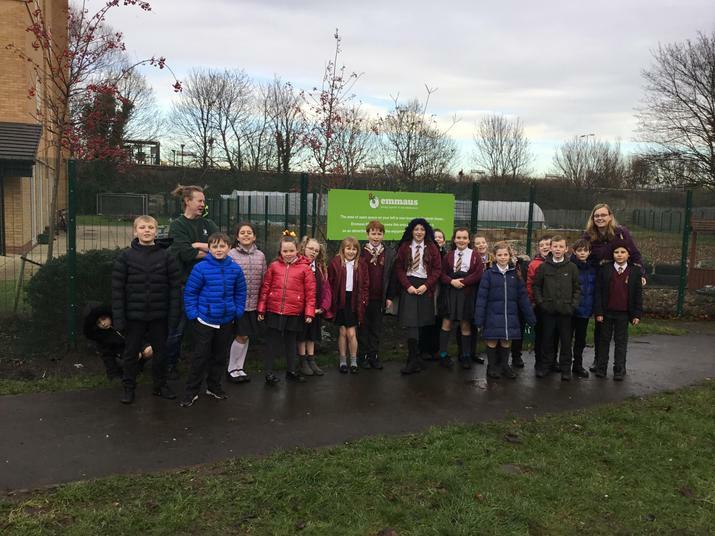 Sefton Council’s environmental education officers came to school to teach us about air quality. 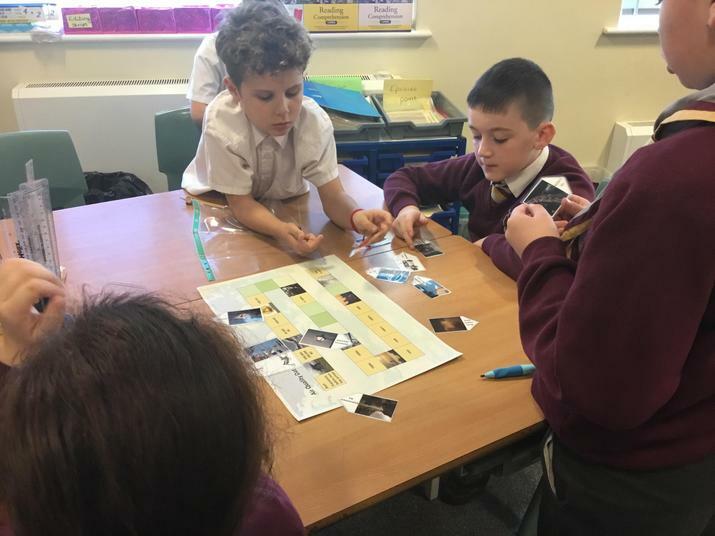 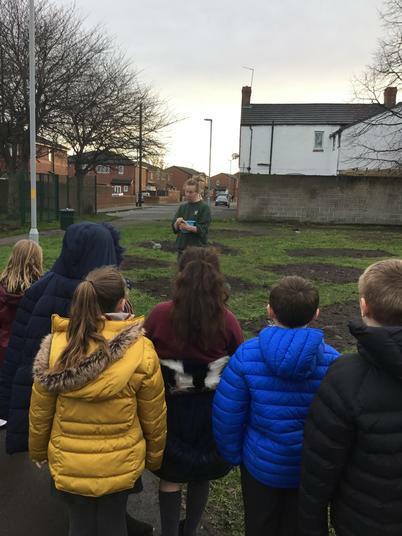 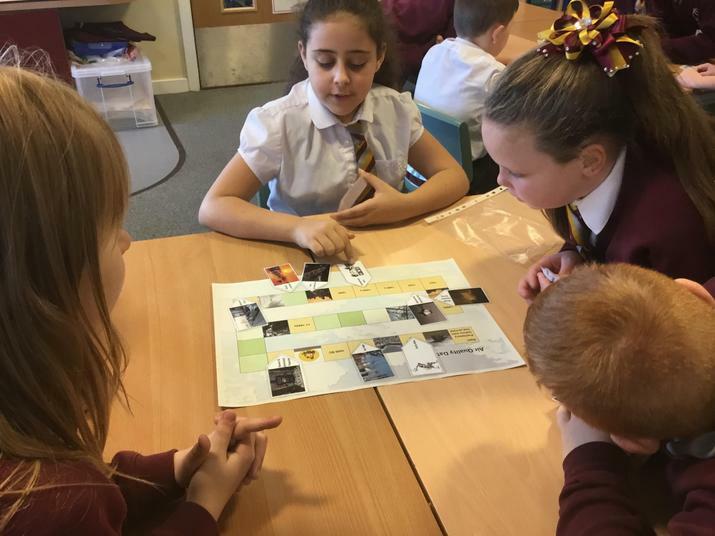 We had a great day finding out about: what causes air pollution; how it is monitored and how we can help prevent air pollution. 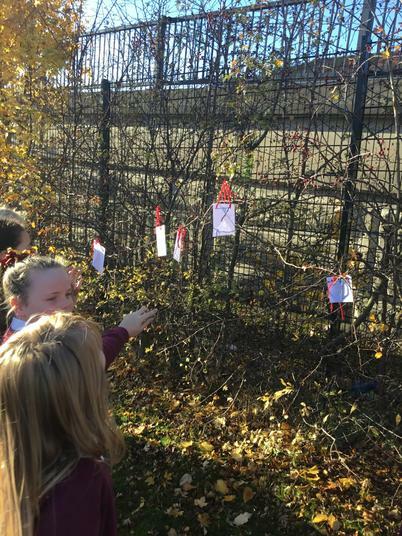 We made pollution catchers and hung them outside, played games about air pollution and prepared a presentation to share with our parents. 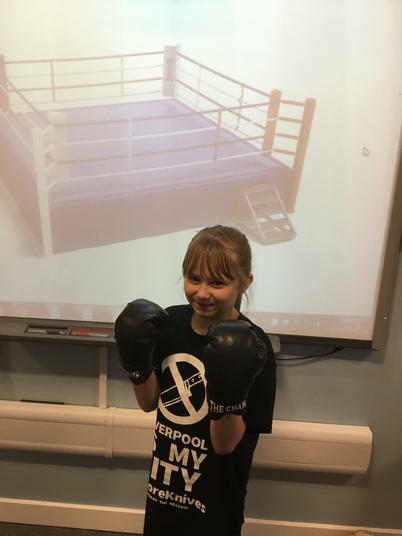 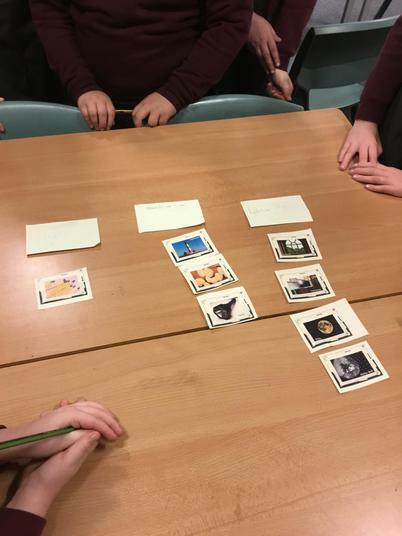 We explored slavery and the Transatlantic Slave Trade and Liverpool’s part in this. 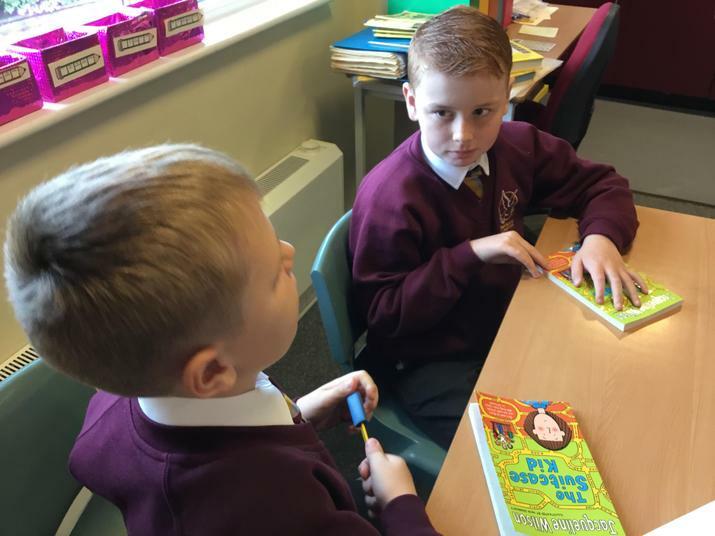 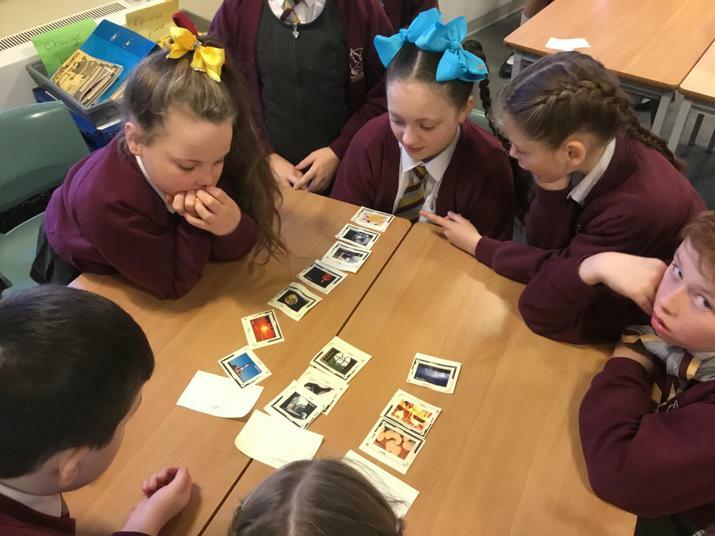 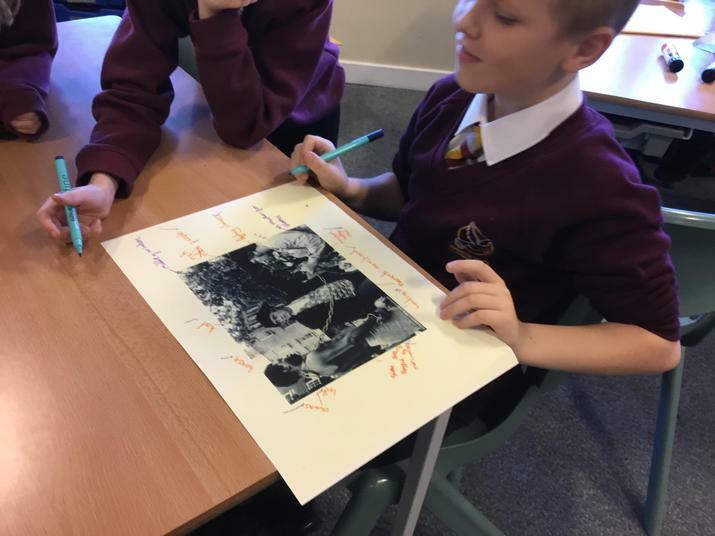 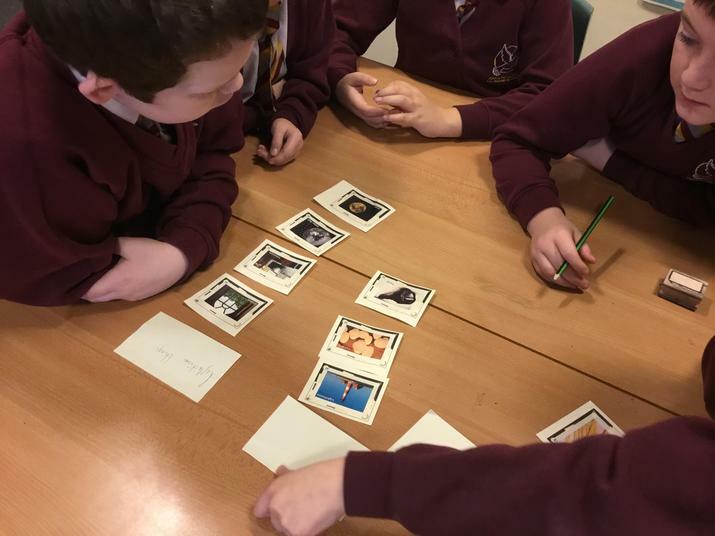 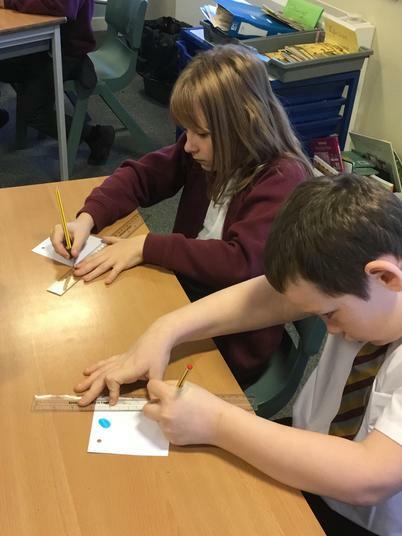 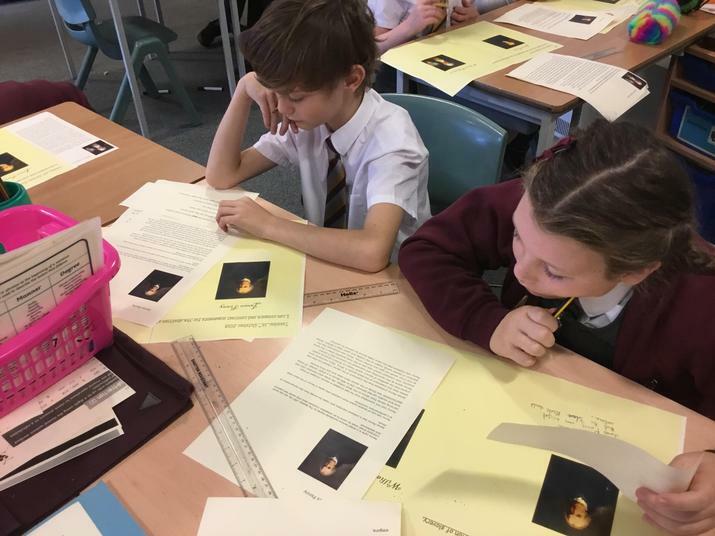 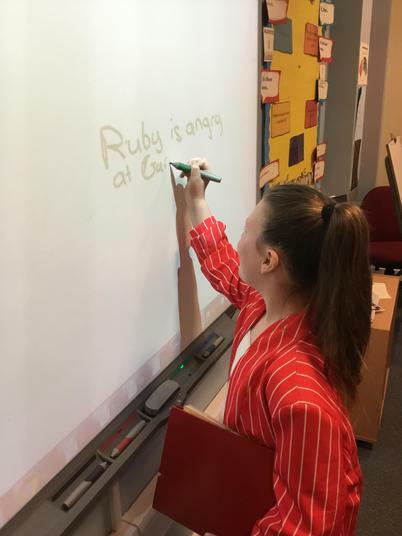 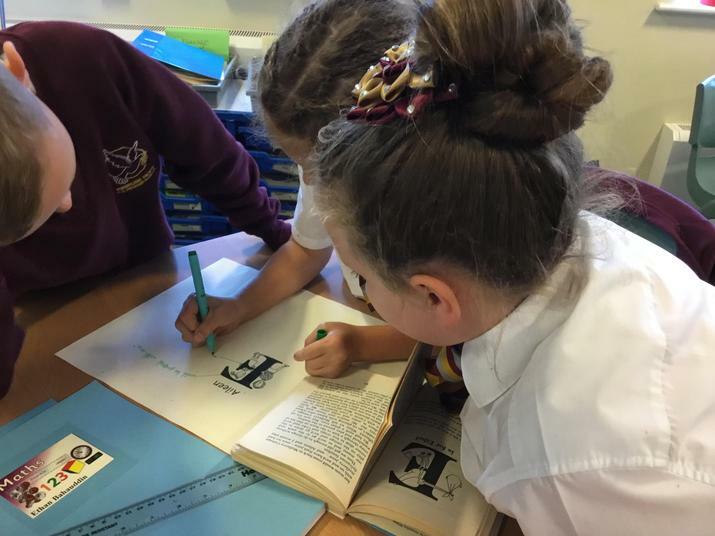 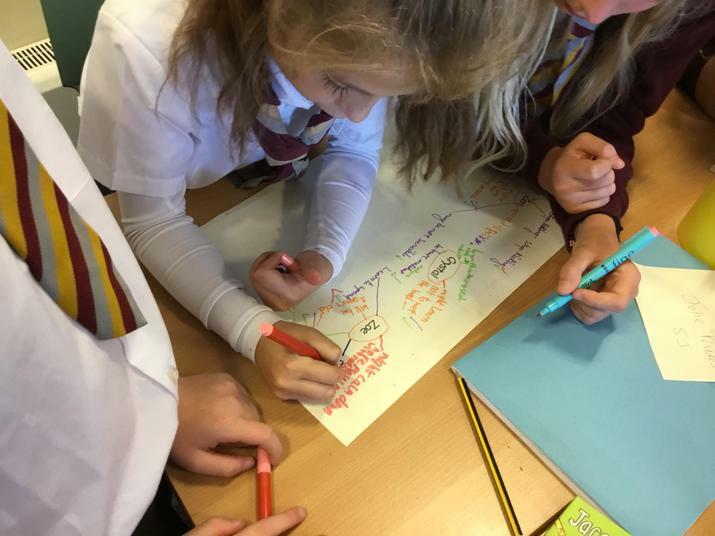 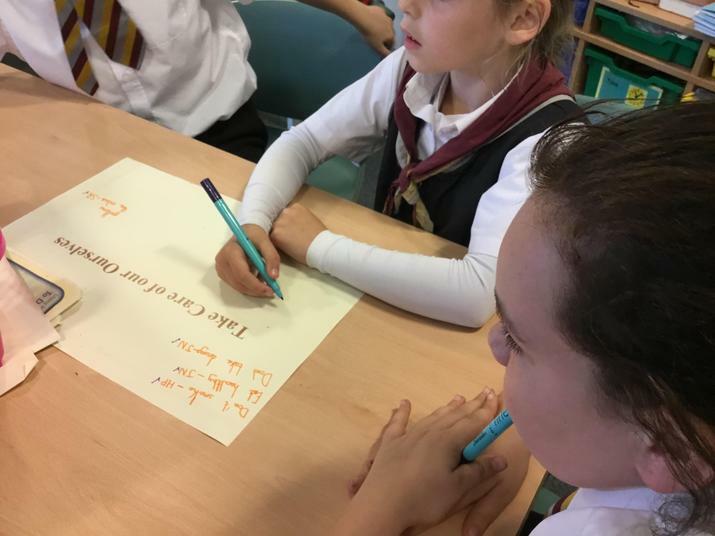 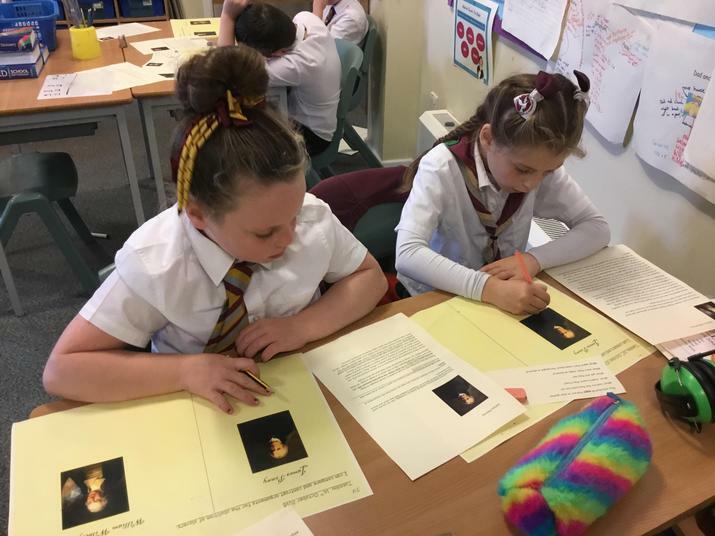 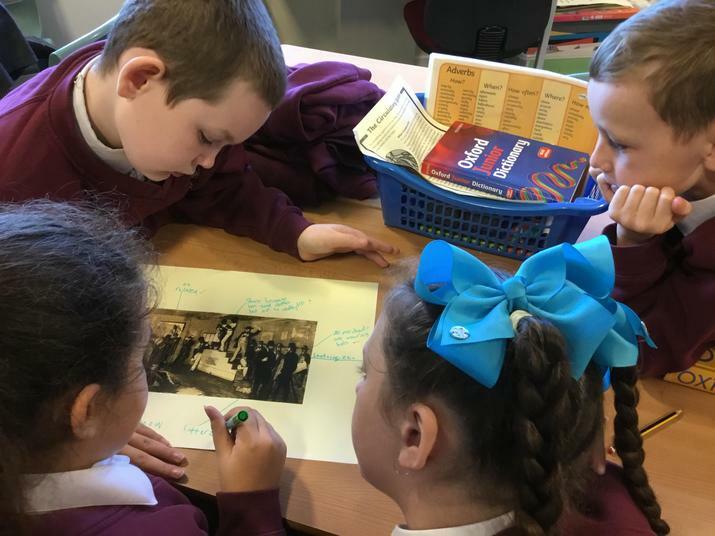 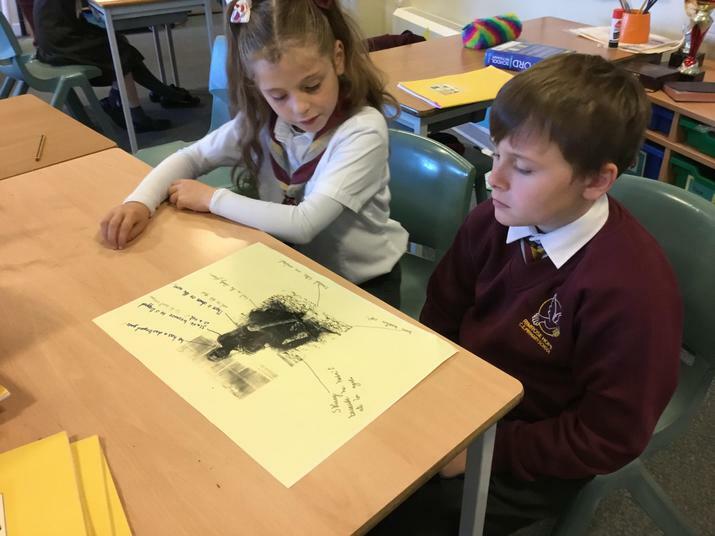 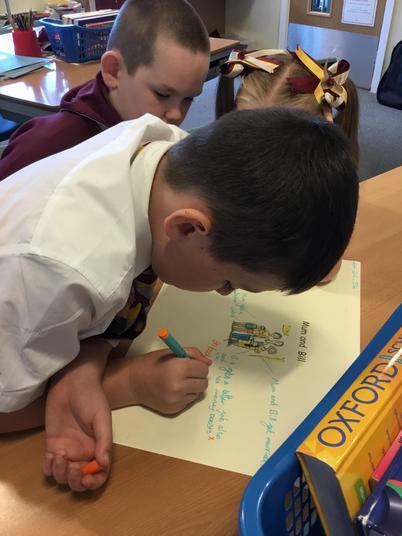 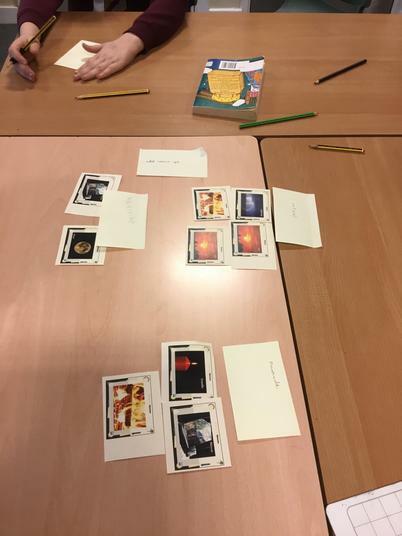 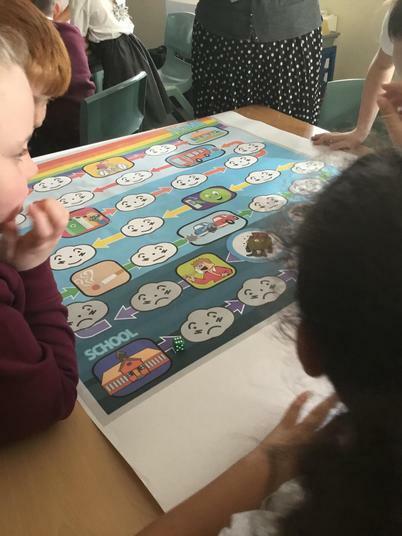 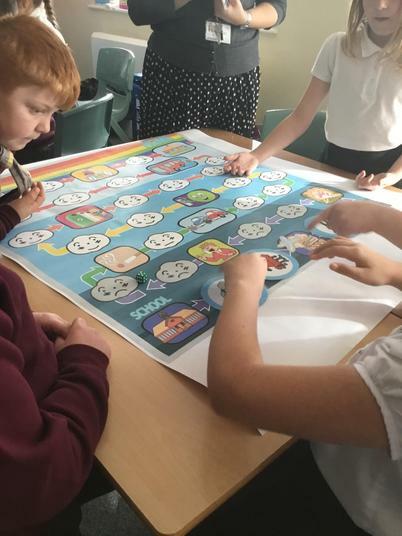 The children engaged in this topic with enthusiasm, although they found some of the facts difficult to accept, wondering how people could treat others in this way. 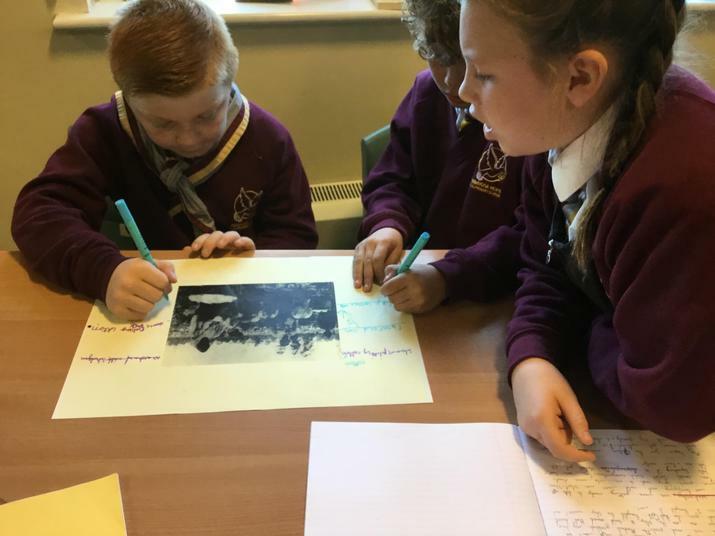 We researched the topic using a variety of sources and imagined using drama how the journey would have been for the slaves leaving Africa. 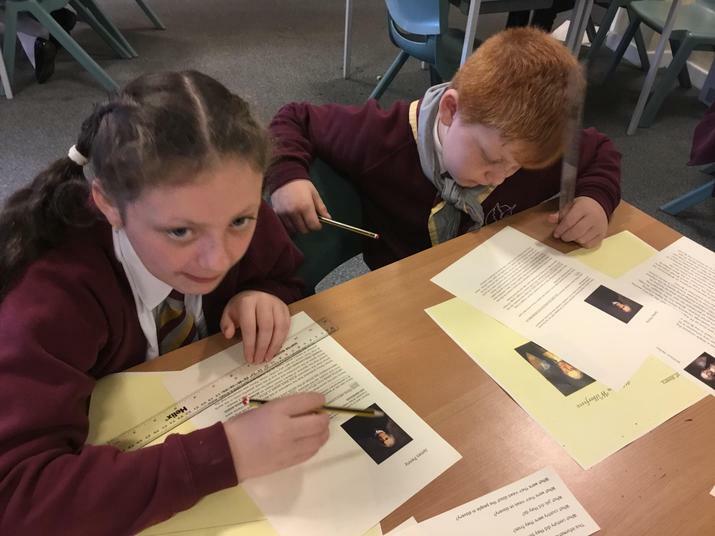 We researched the Liverpool born merchant, James Penny, and compared his views to abolitionist William Wilberforce's. 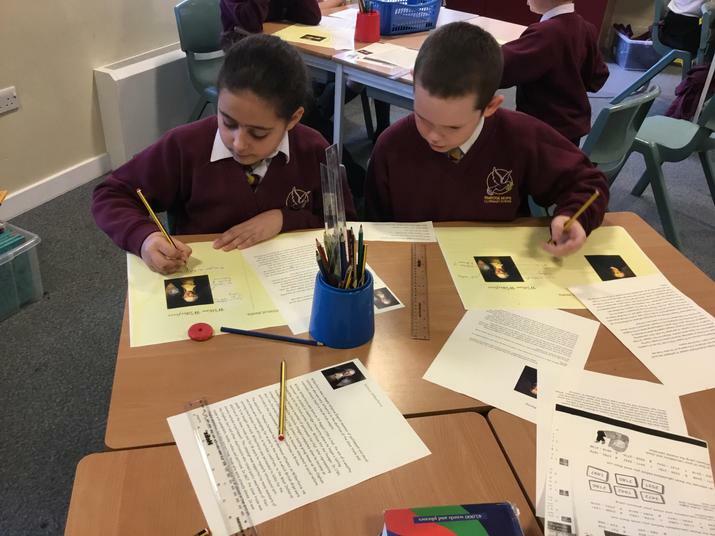 We then created a court case with William Wilberforce arguing to abolish slavery and James Penny arguing to keep it, with Judge Warrington presiding. 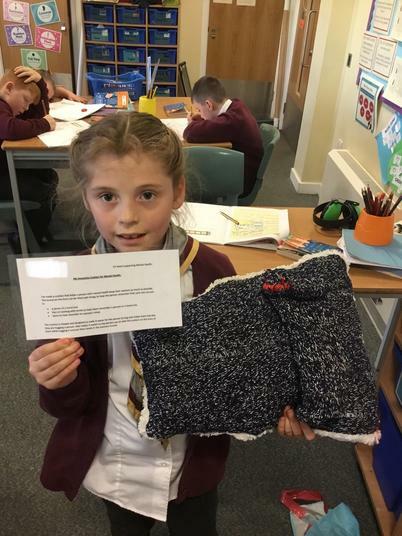 As a class, we were happy that William Wilberforce won the case. 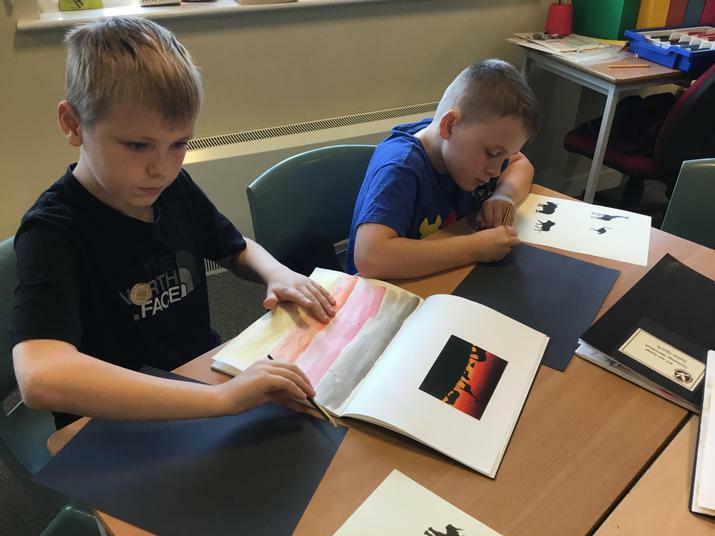 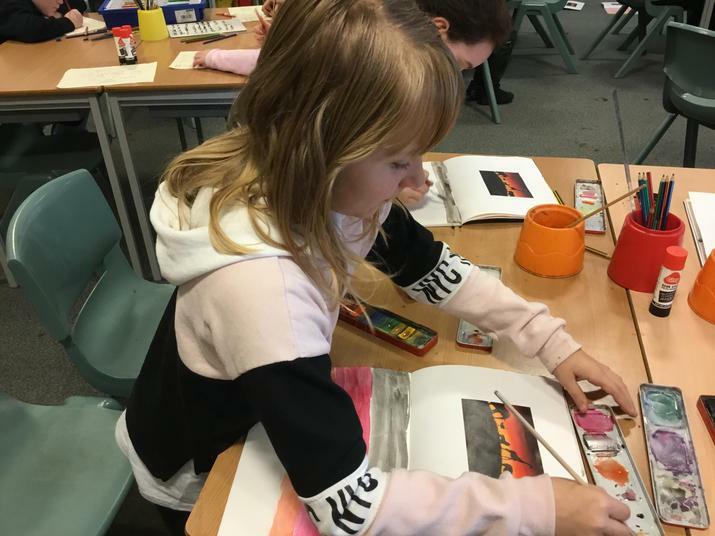 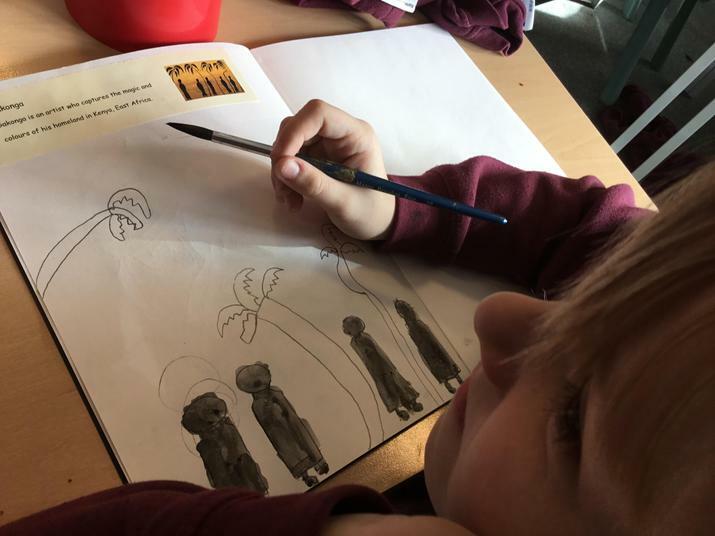 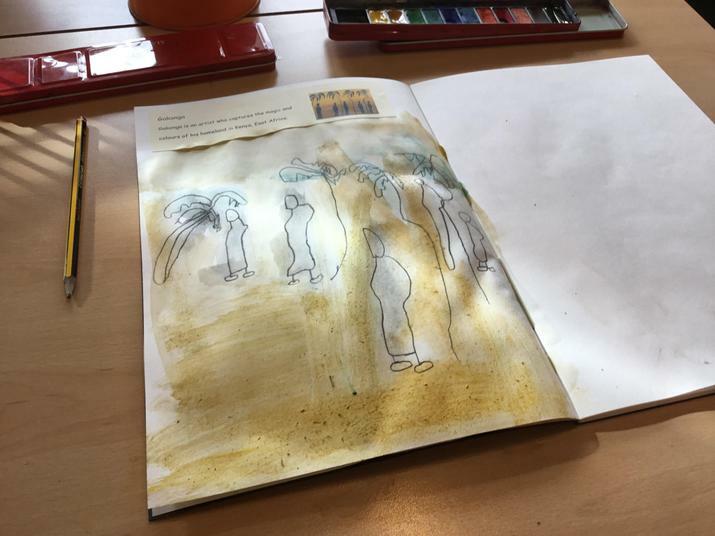 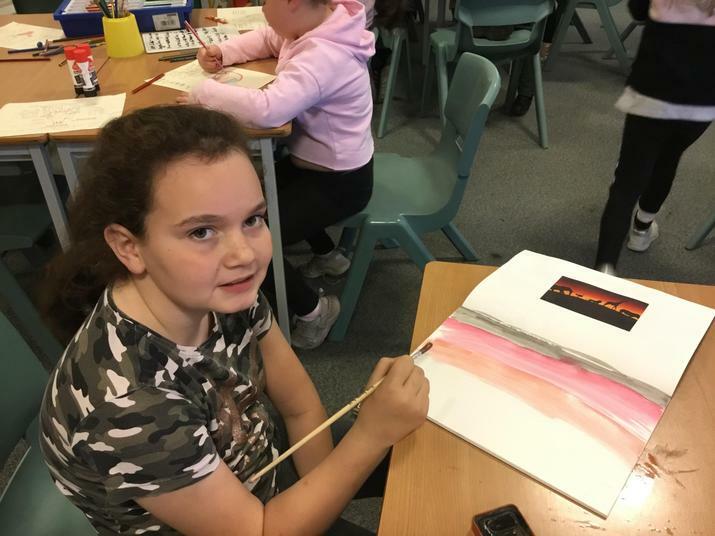 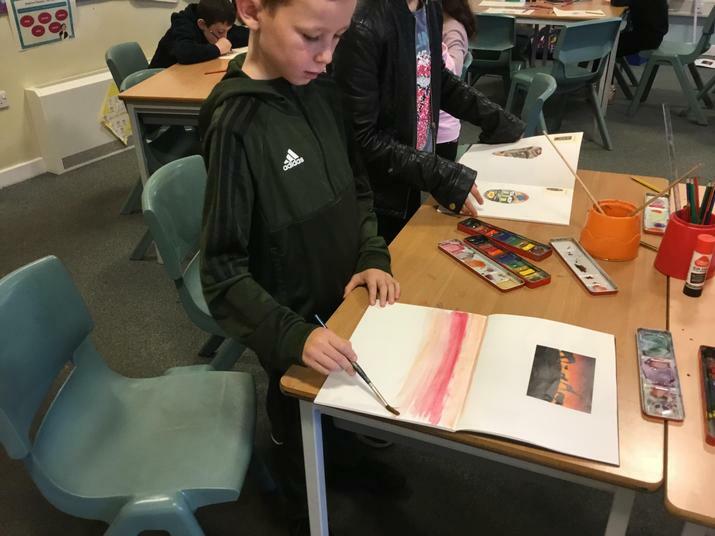 During our Art lessons, we have been exploring African Art. 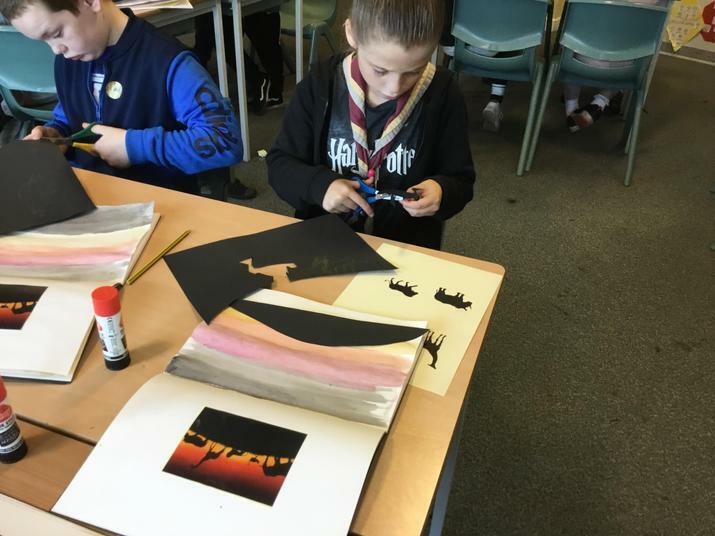 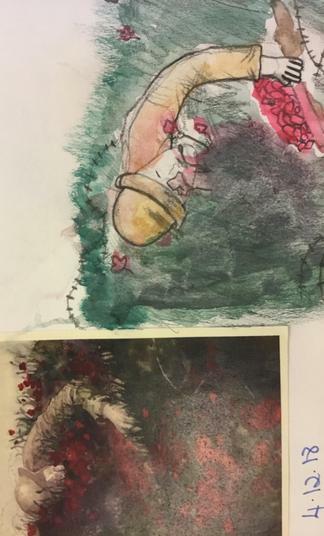 We recreated different artwork using different materials. 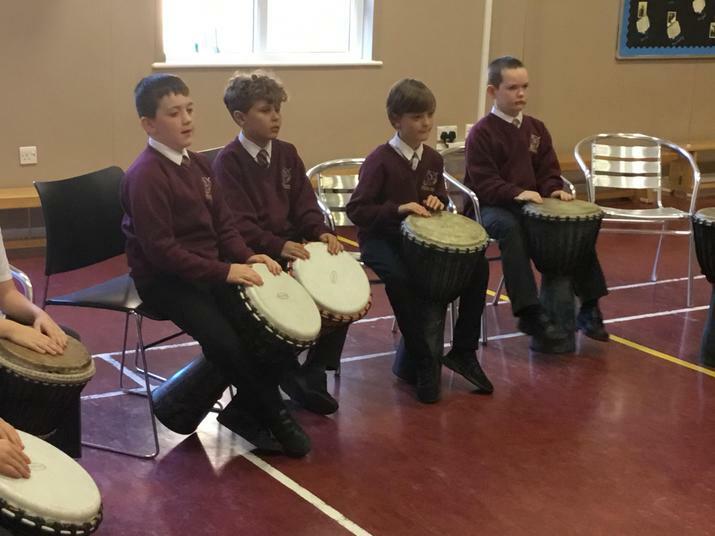 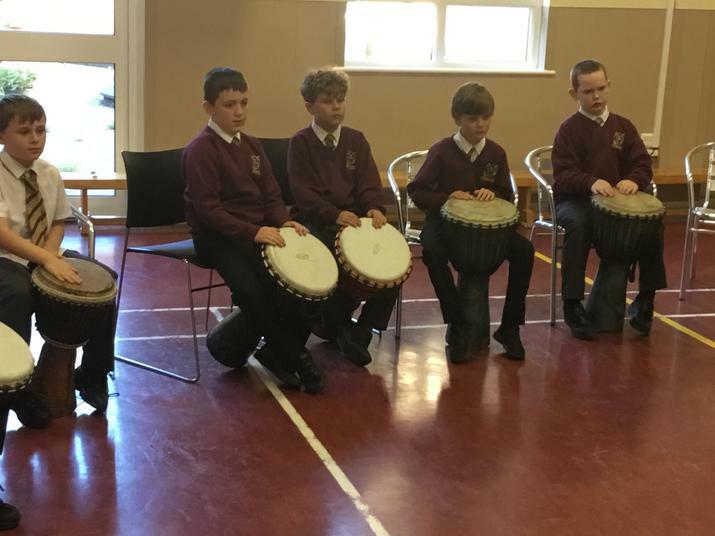 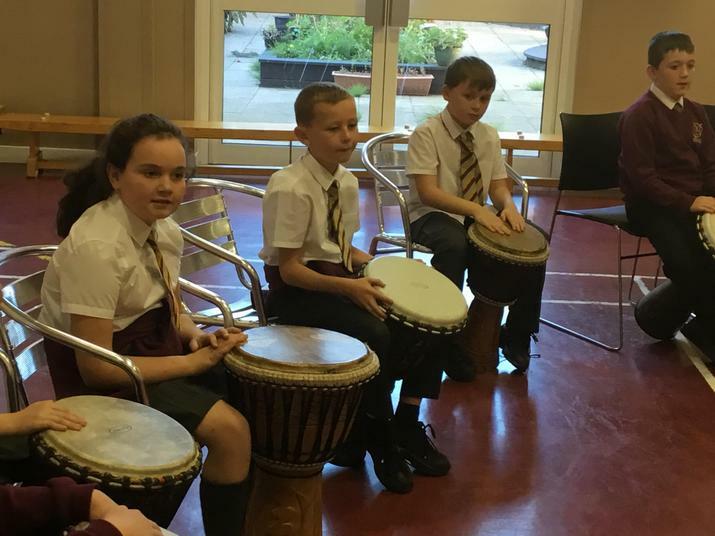 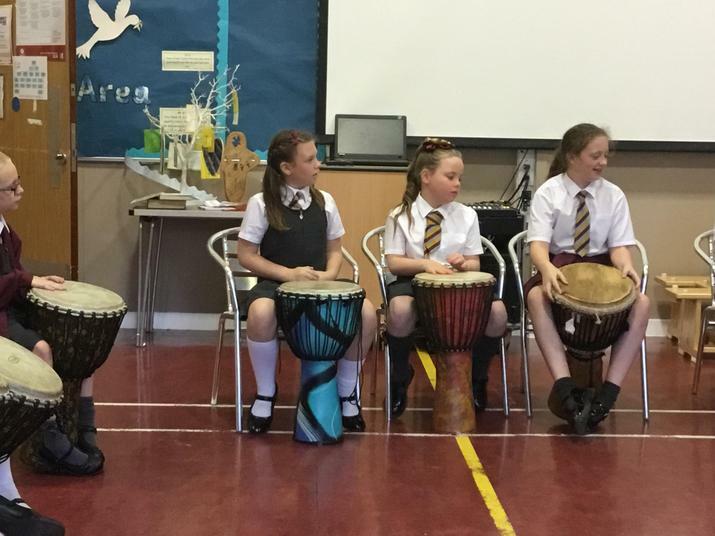 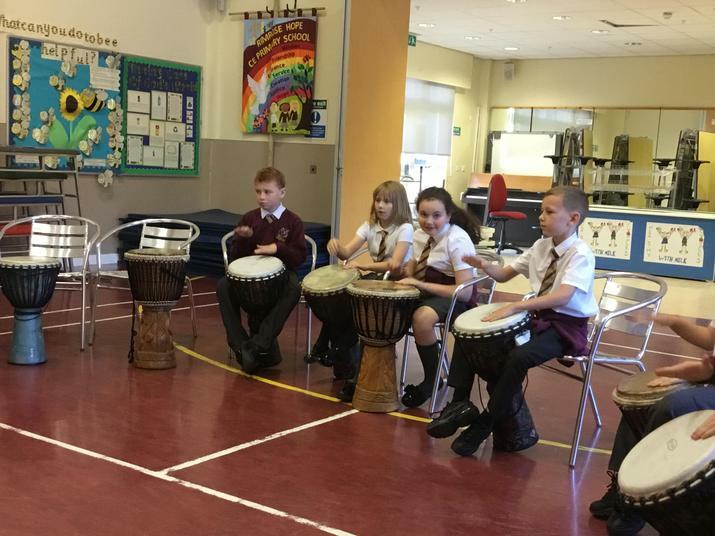 In Year Five, we have a drumming lesson every week. 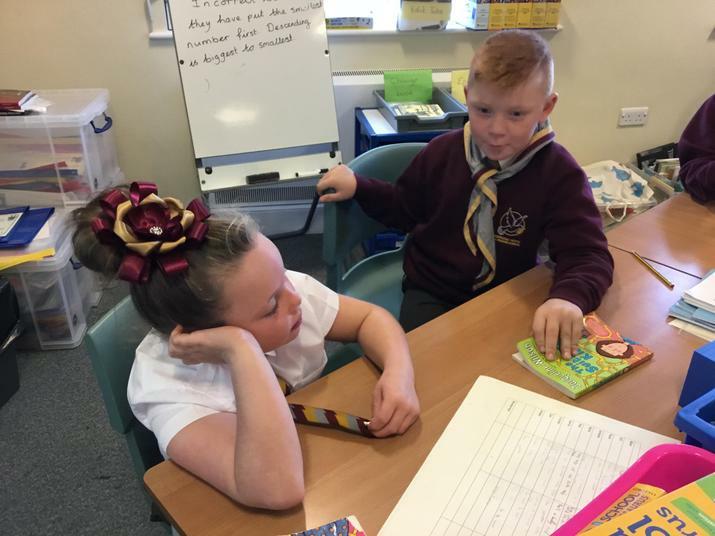 We are really enjoying our lessons and are learning a lot! 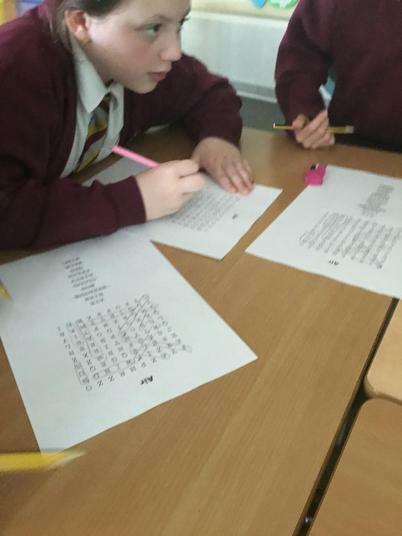 We have been practising: call and repsonse; copying the rhythm and learning about polyrhythms. 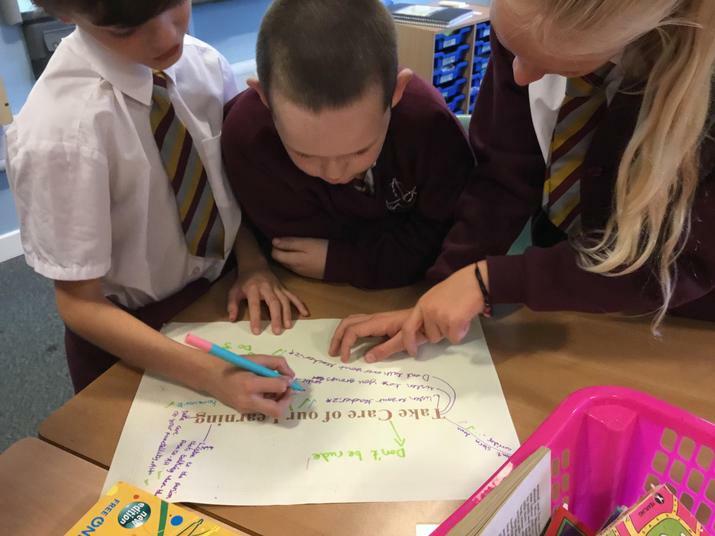 To work towards our Creation Award, we looked at our class and school rules and recorded how we could fulfill these. 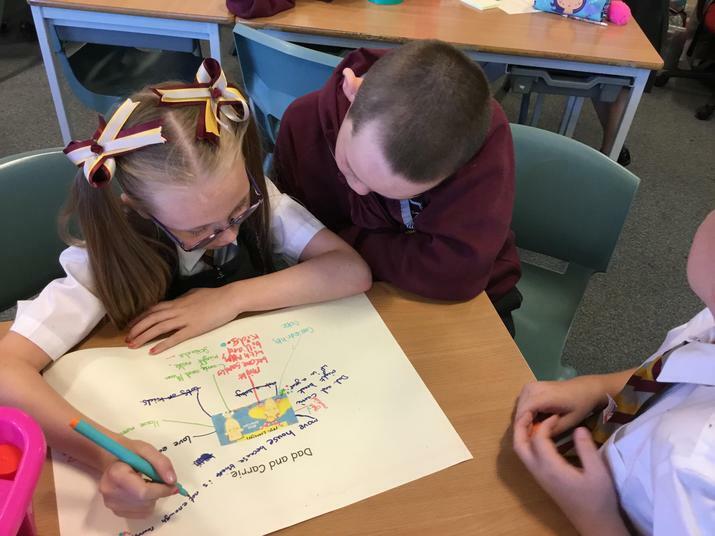 Working in a carasol we recorded our own ideas and reviewed each other’s. 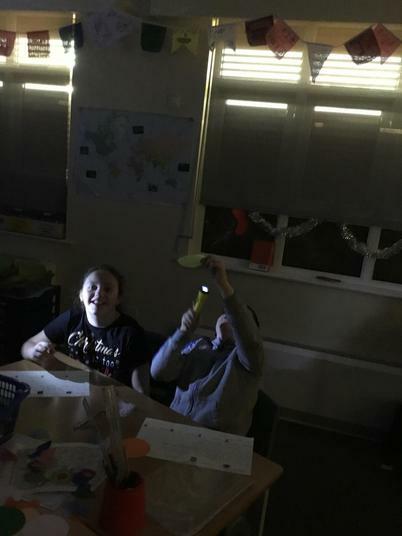 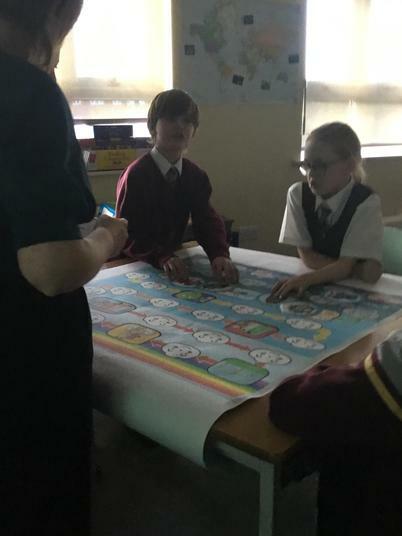 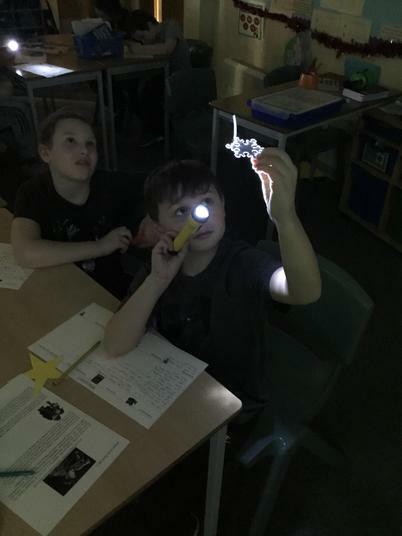 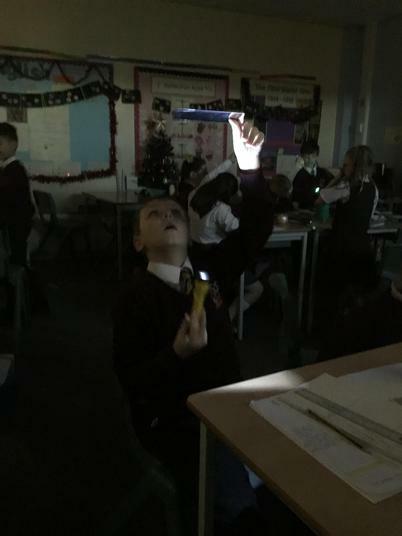 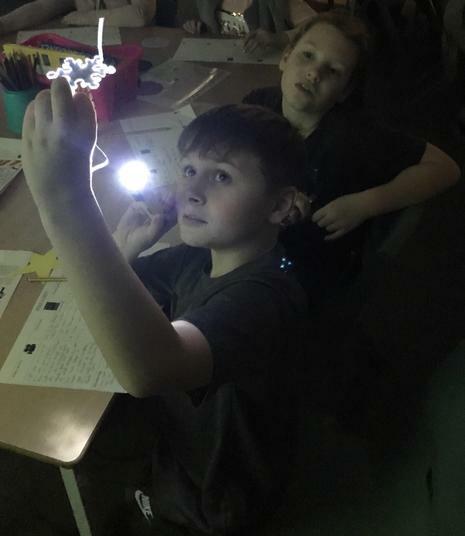 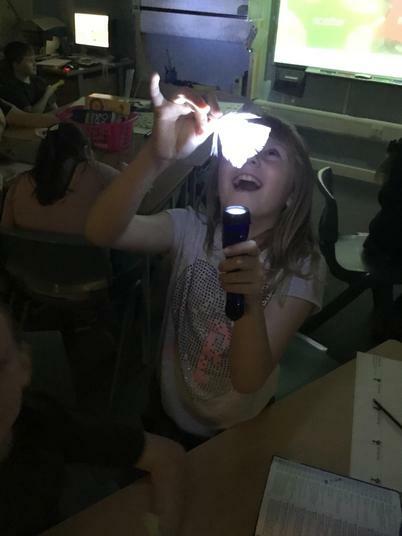 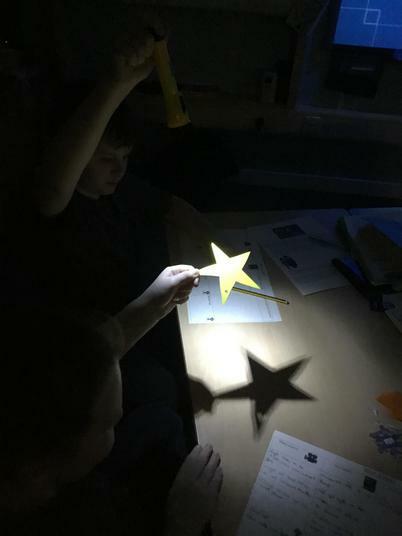 We then created a class job list that included jobs like paper monitor to ensure we are recycling in our class.We also now have a light monitor, who ensures that the classroom lights are switched off, when we leave the classroom. 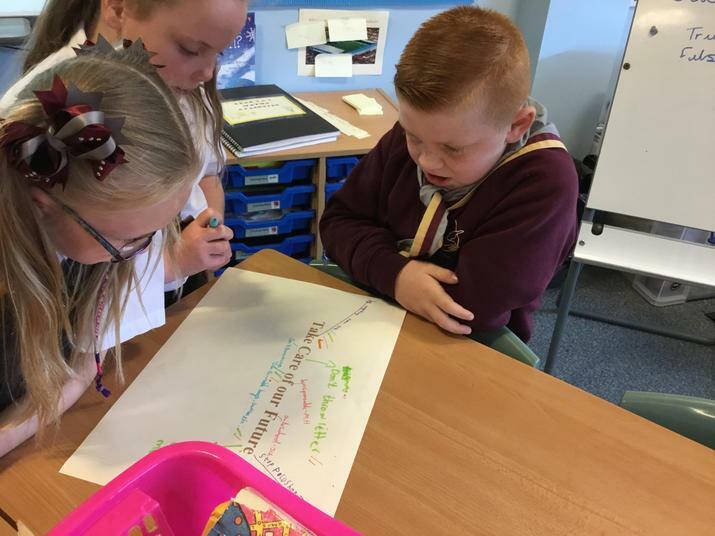 Finally, the children created a poster for each of our rules and how these can be followed to remind us and help teach others. 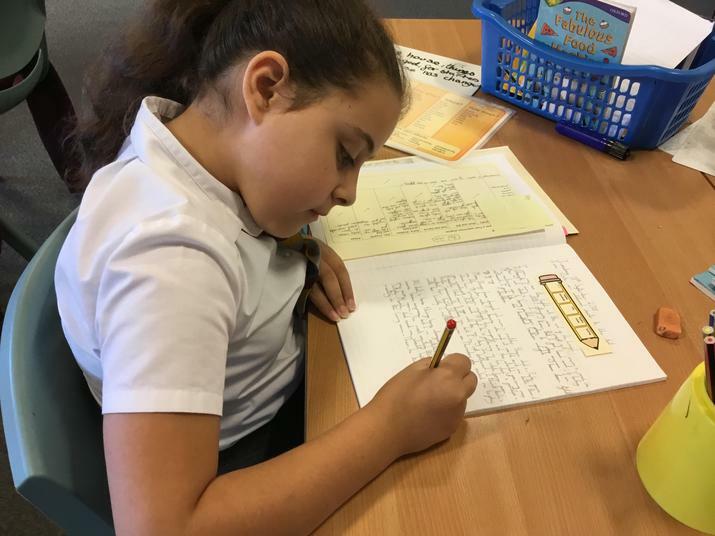 Our first text of Year Five, was The Suitcase Kid. 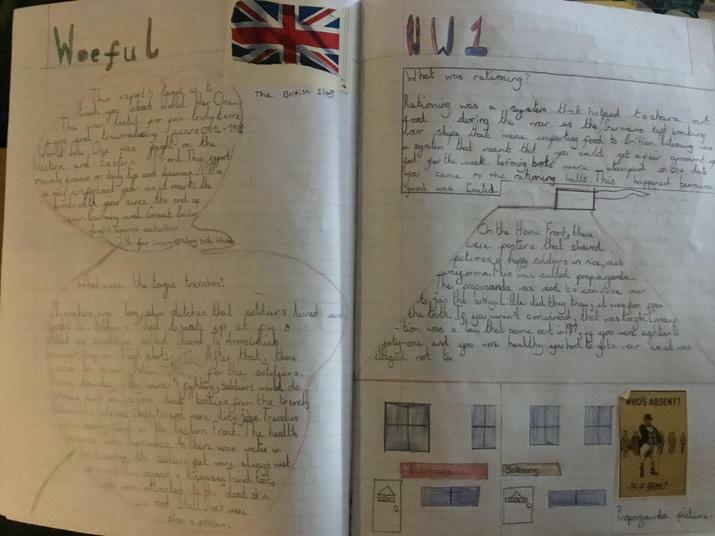 We all really enjoyed this text and completed lots of great writing and work based on the it. 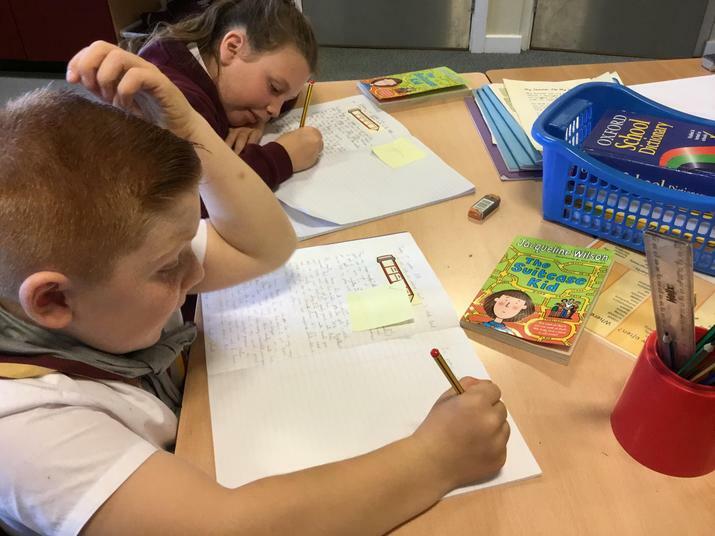 For this text, we: explored the characters ; wrote a diary in role as Andy; wrote an agony letter; made predictions about what might happen next and even wrote our own next chapter.